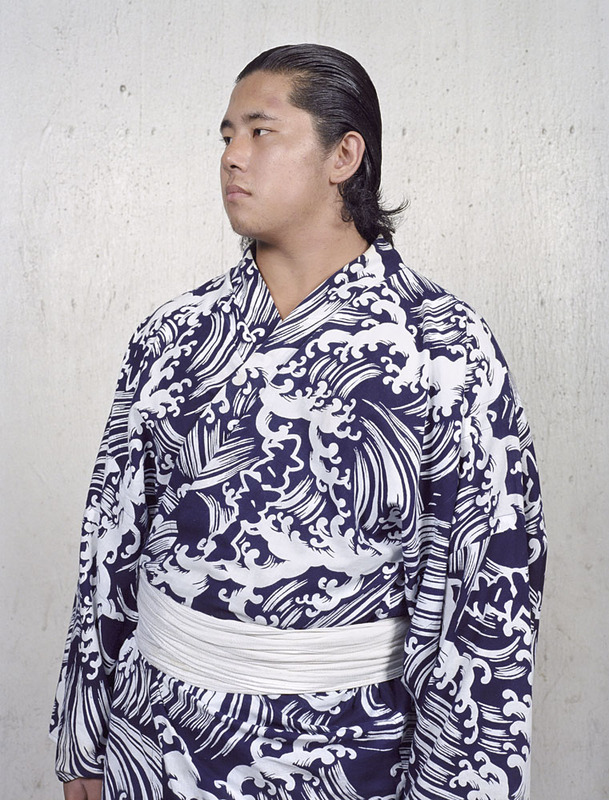 During this period, when Fréger was not in Finland taking photographs of skaters, he was in Tokyo and the surrounding prefectures with sumo wrestlers (rikishi), in their schools and their clubs. 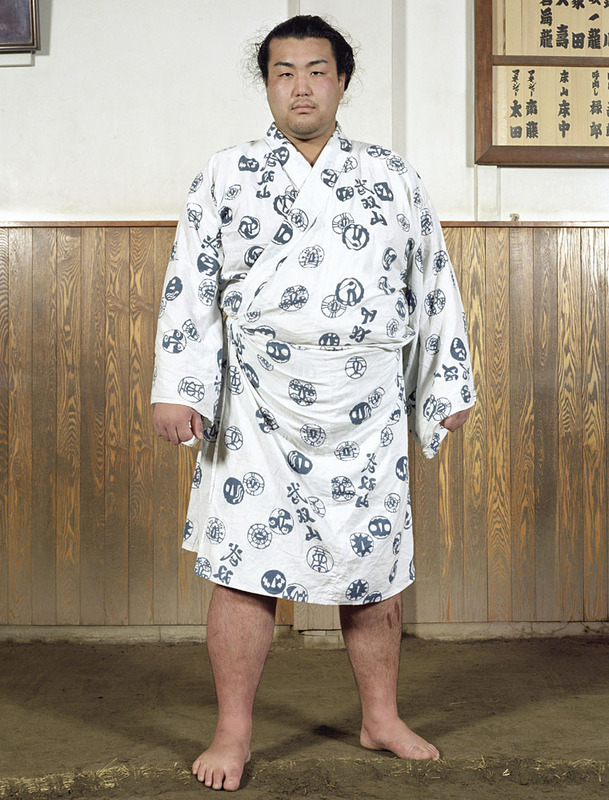 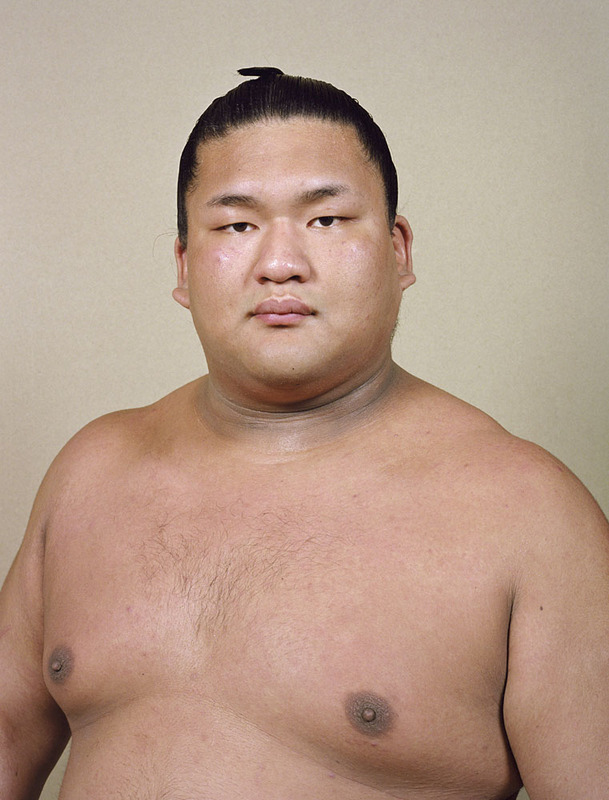 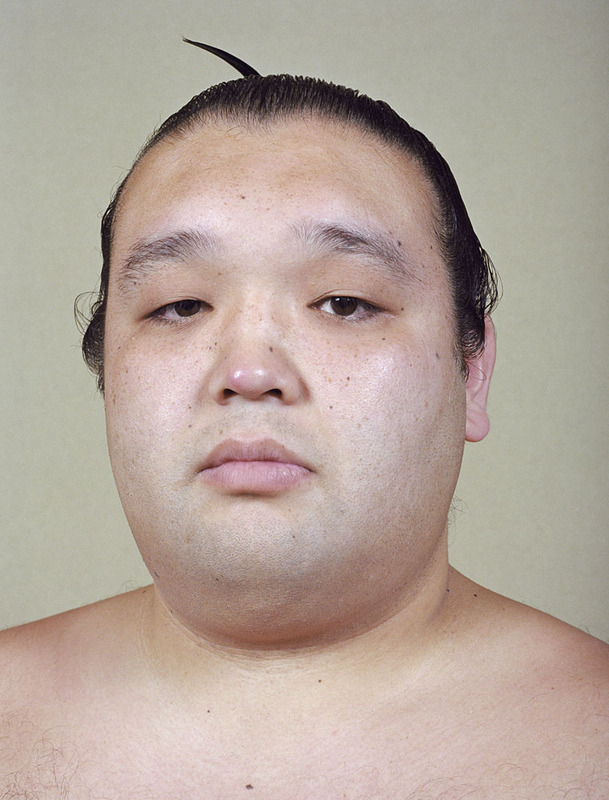 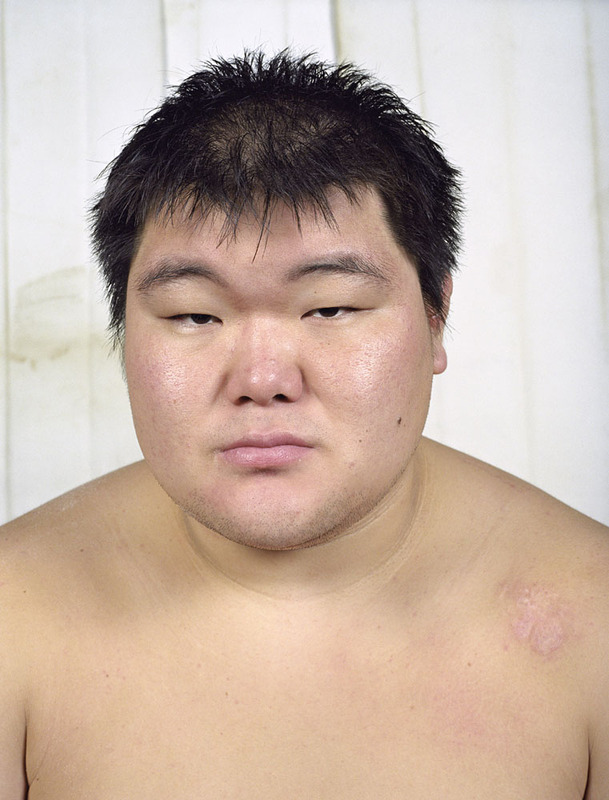 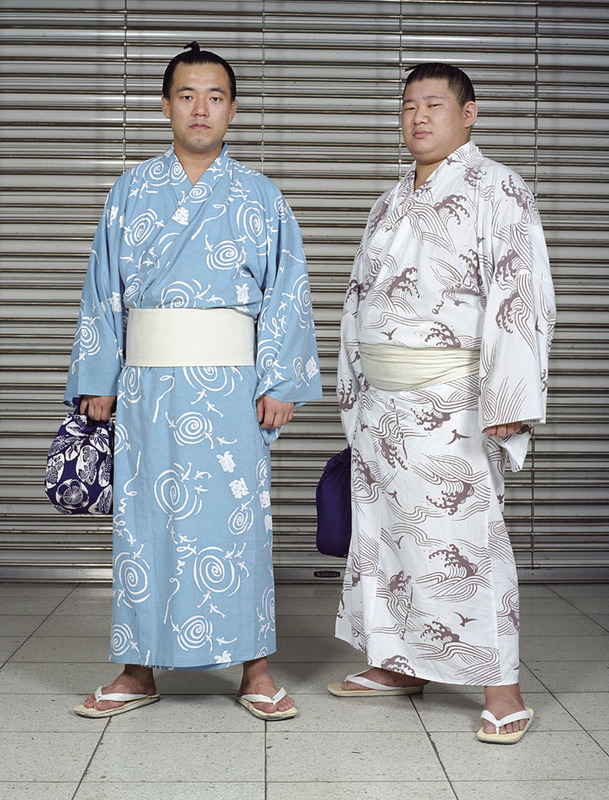 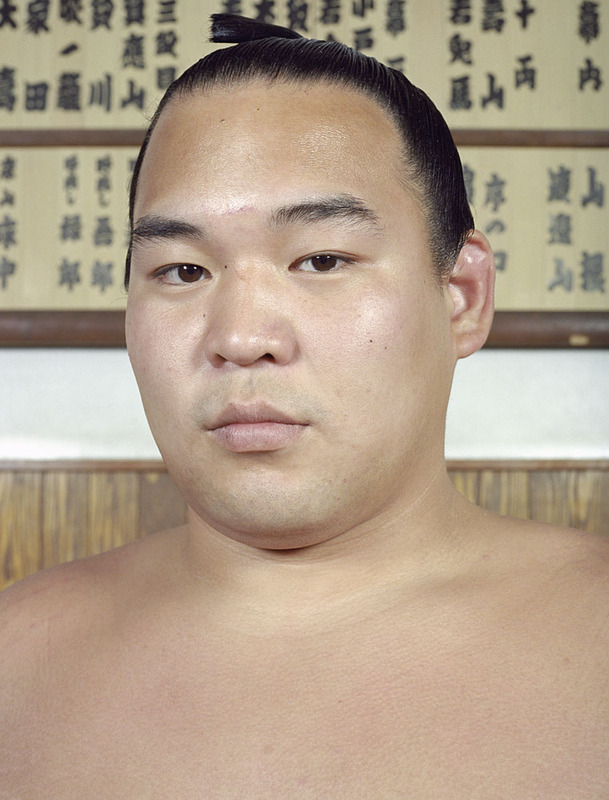 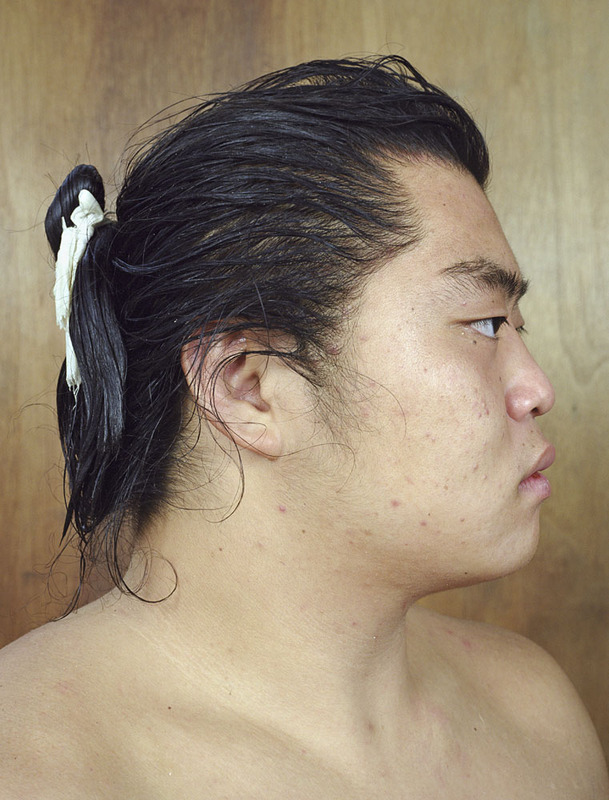 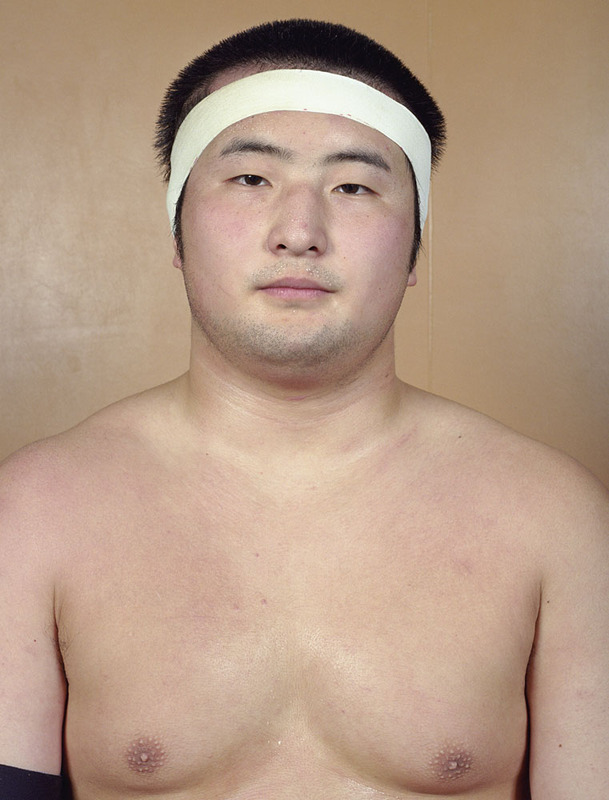 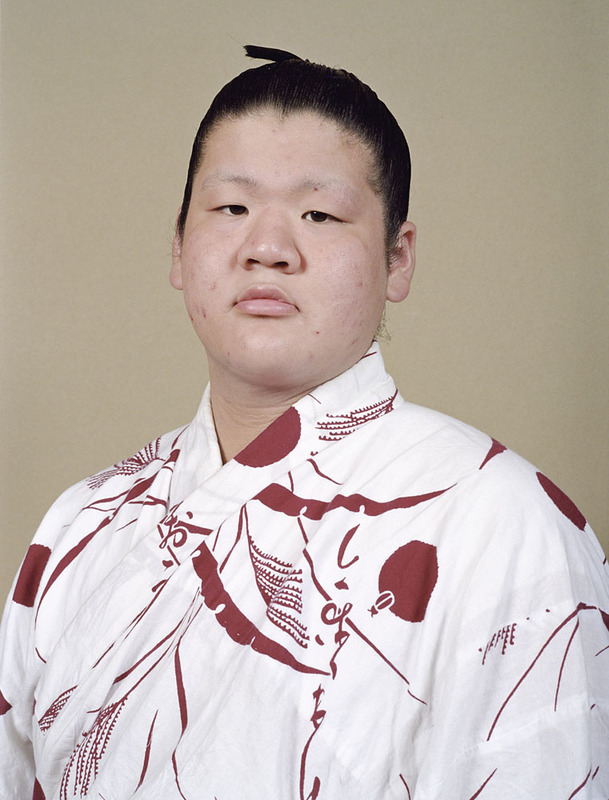 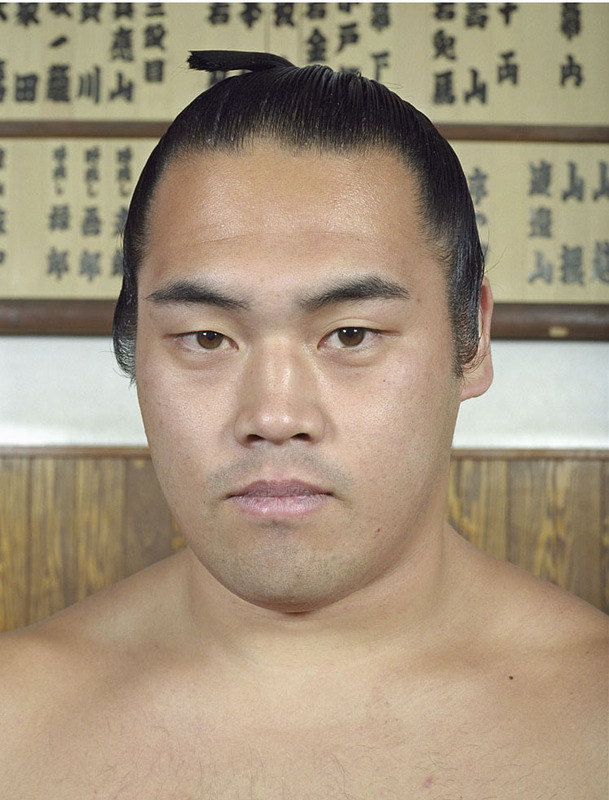 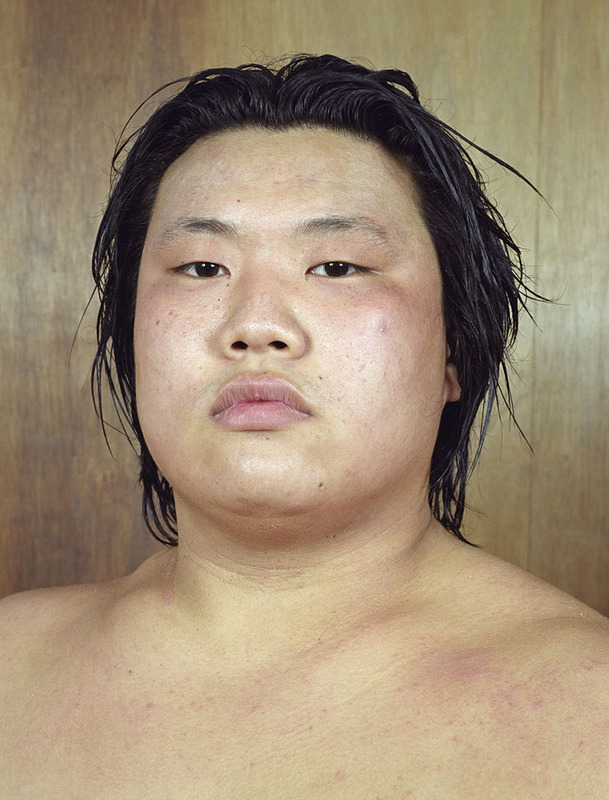 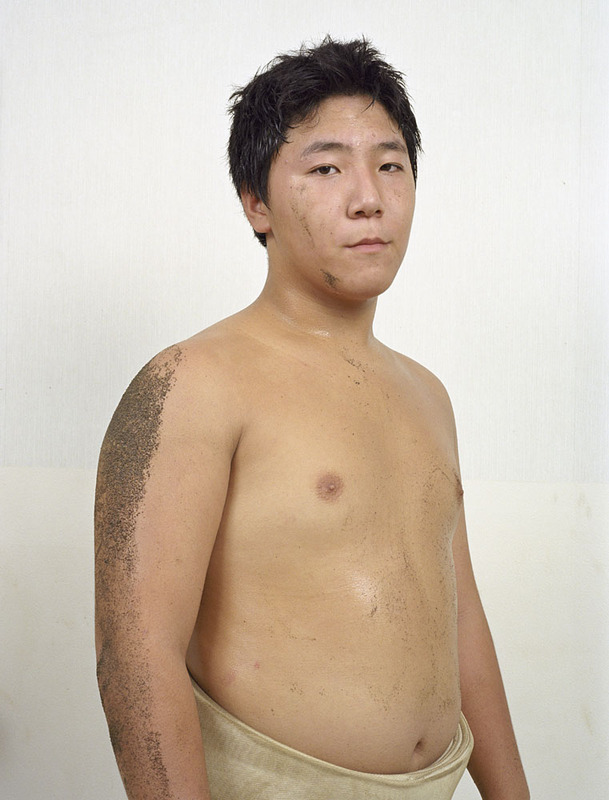 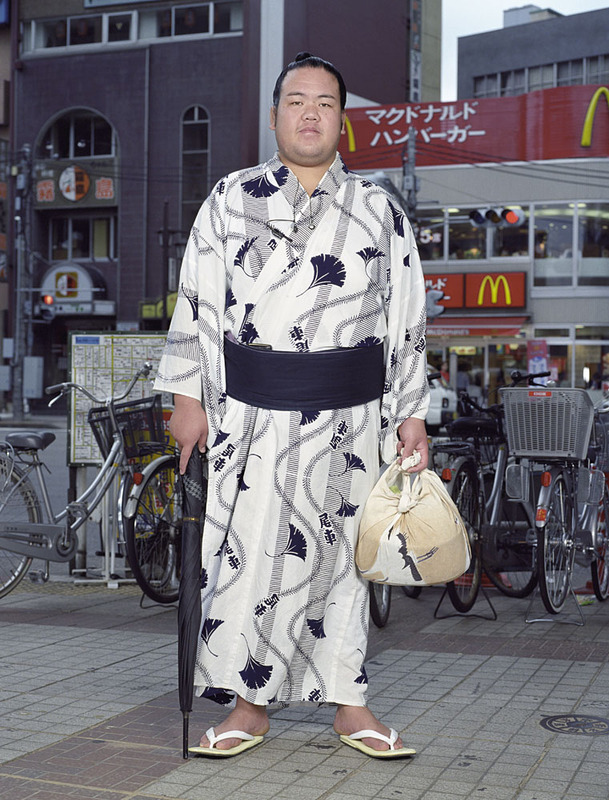 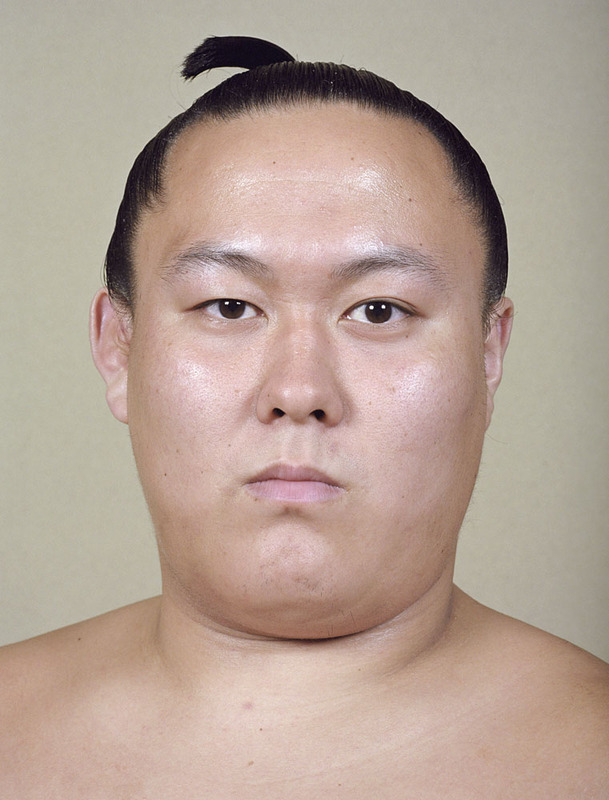 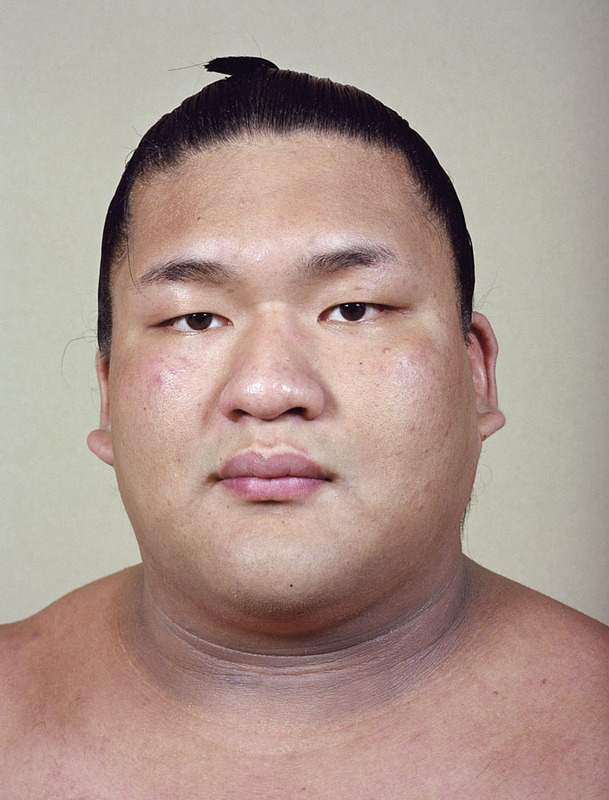 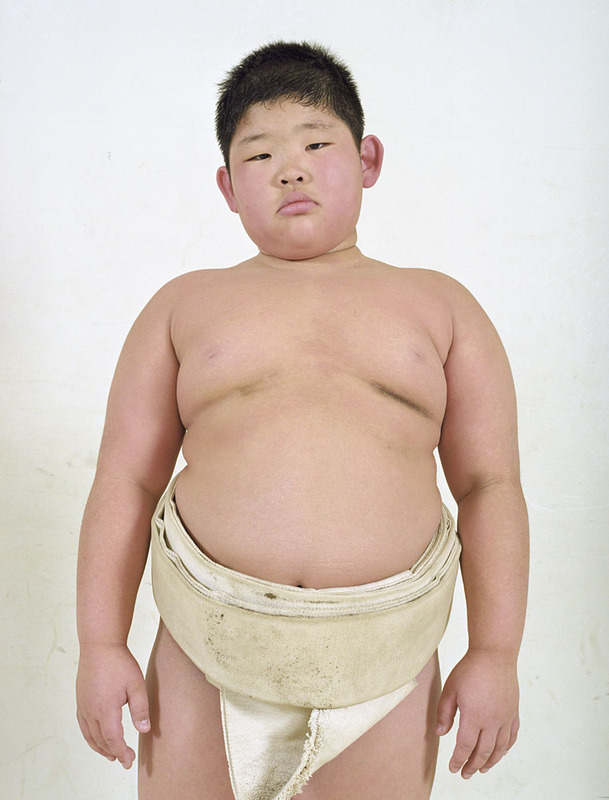 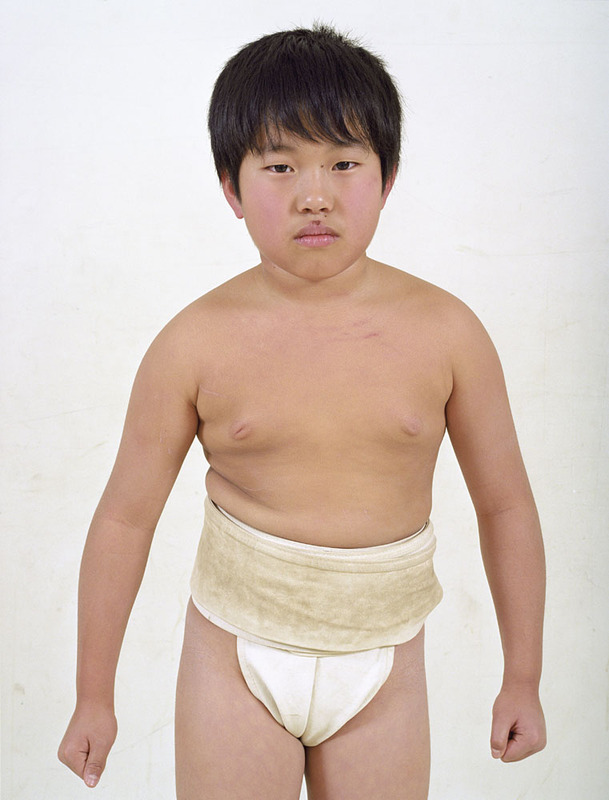 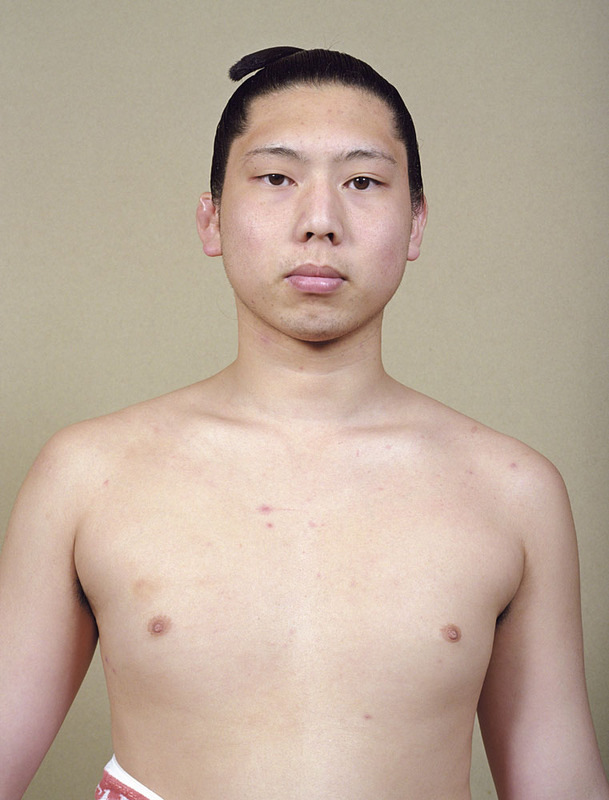 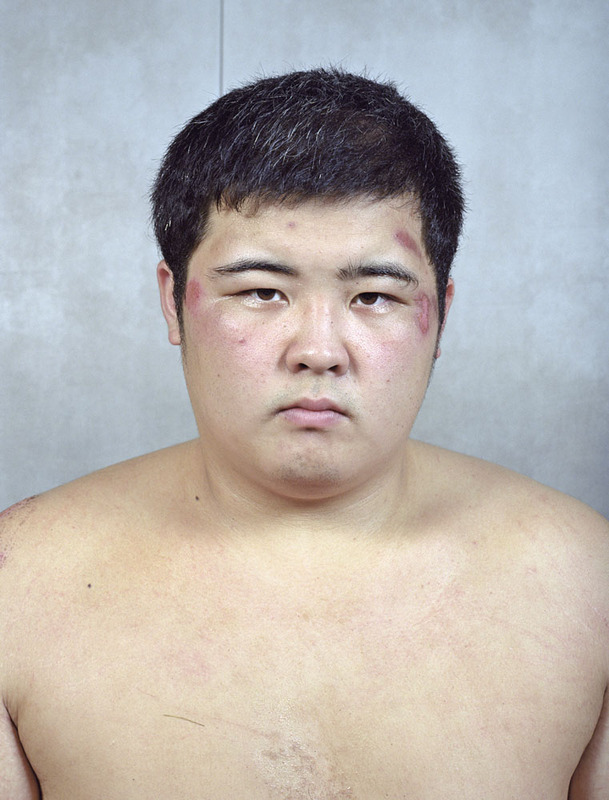 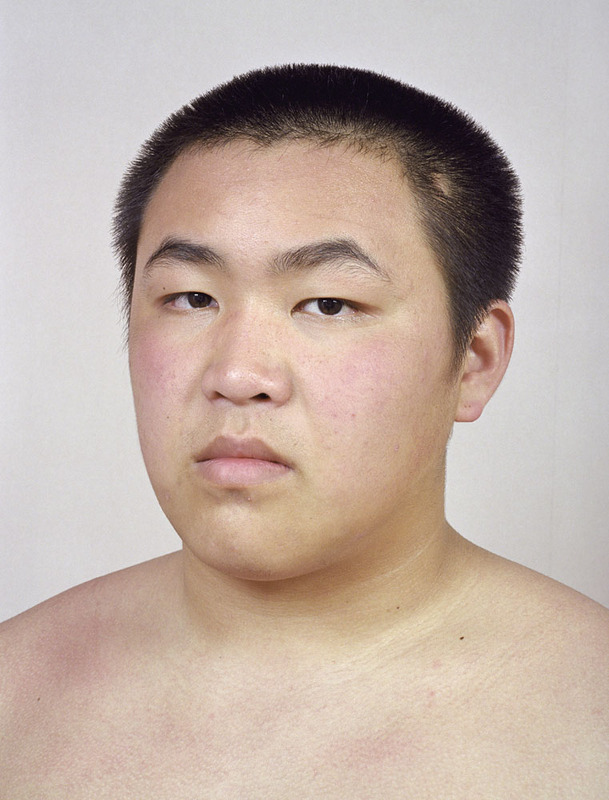 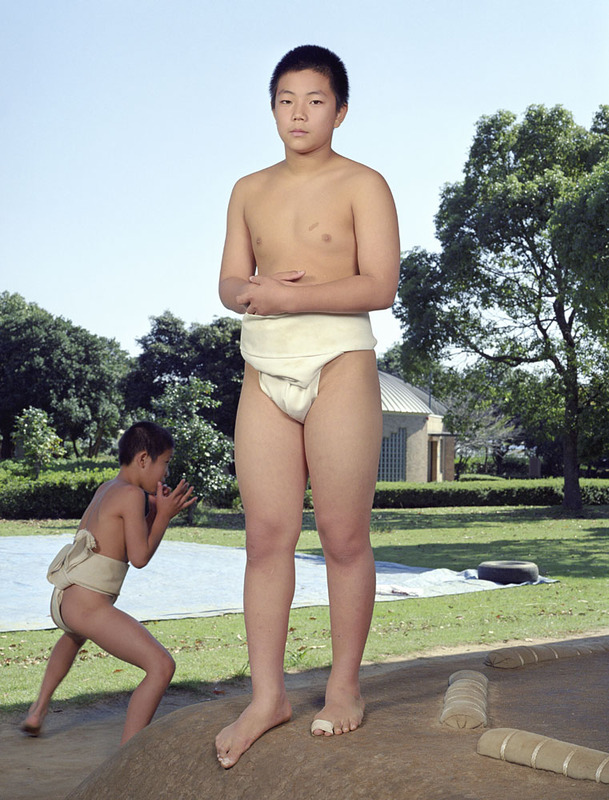 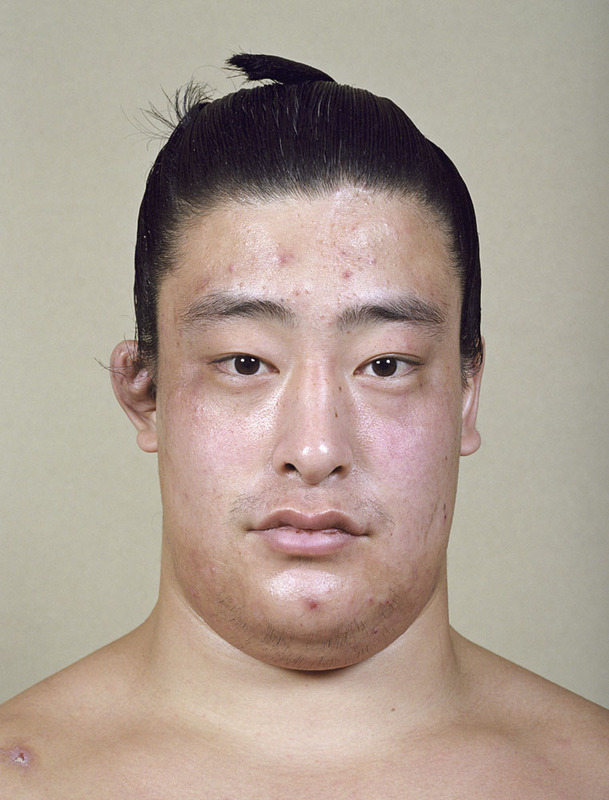 He made five consecutive journeys for this project, five return trips, in order to get close to sumo culture and to familiarise himself with its codes, its rituals and the bodies of those who practice it. 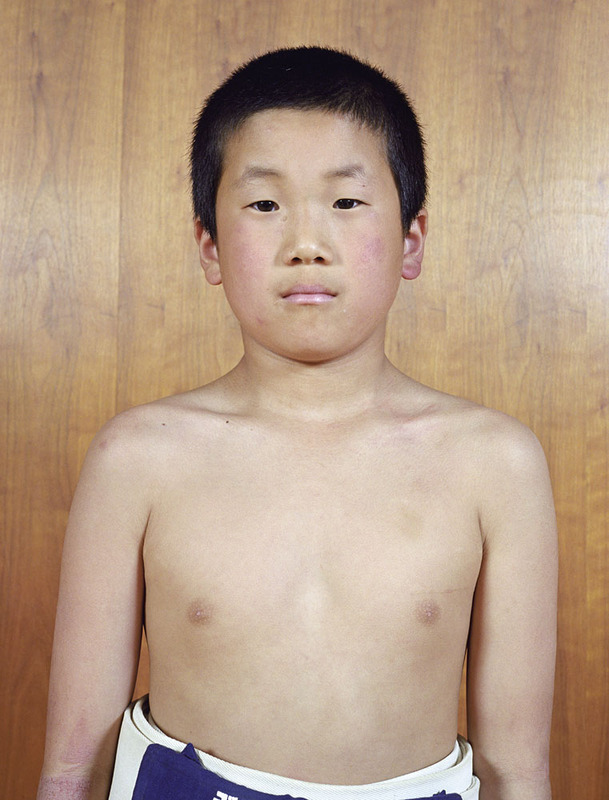 He took a lot of photographs, of children, teenagers and adults. 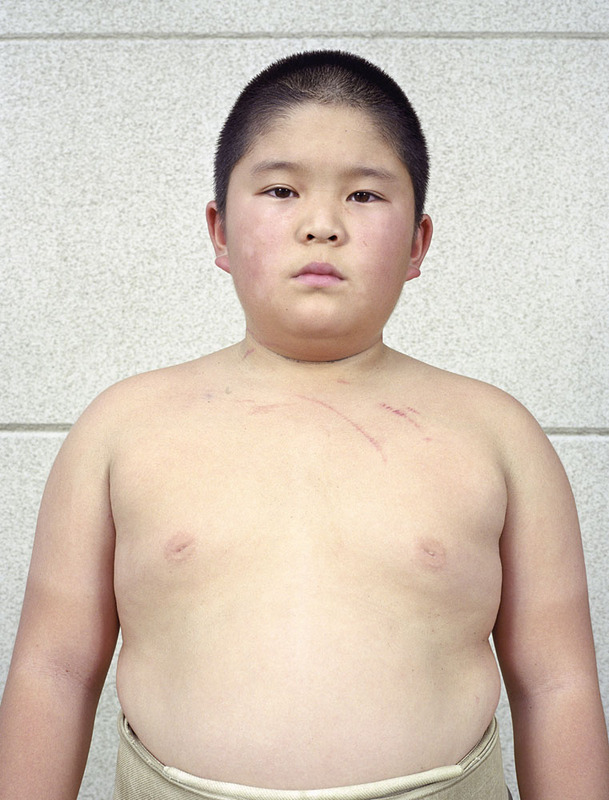 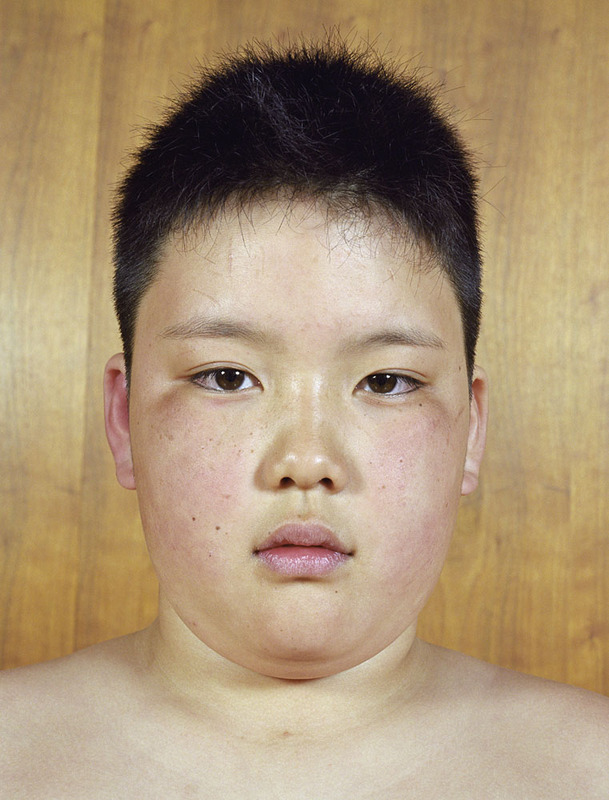 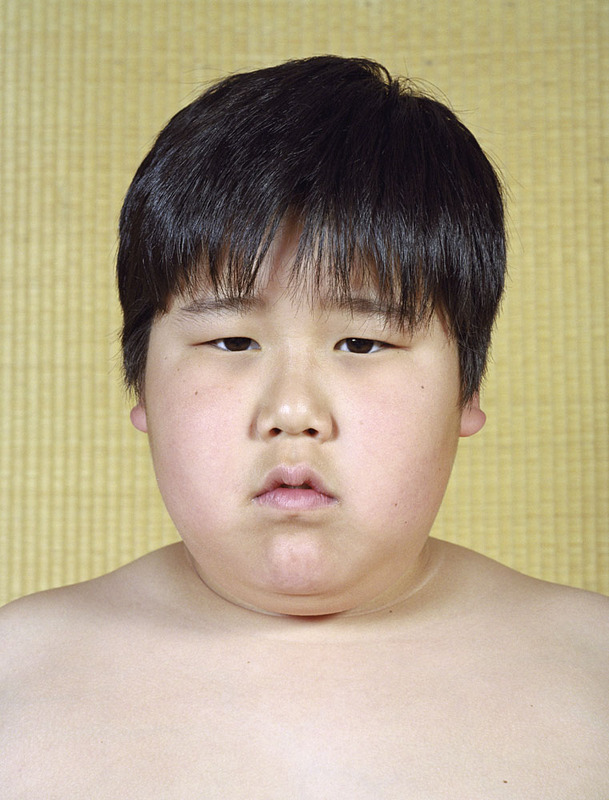 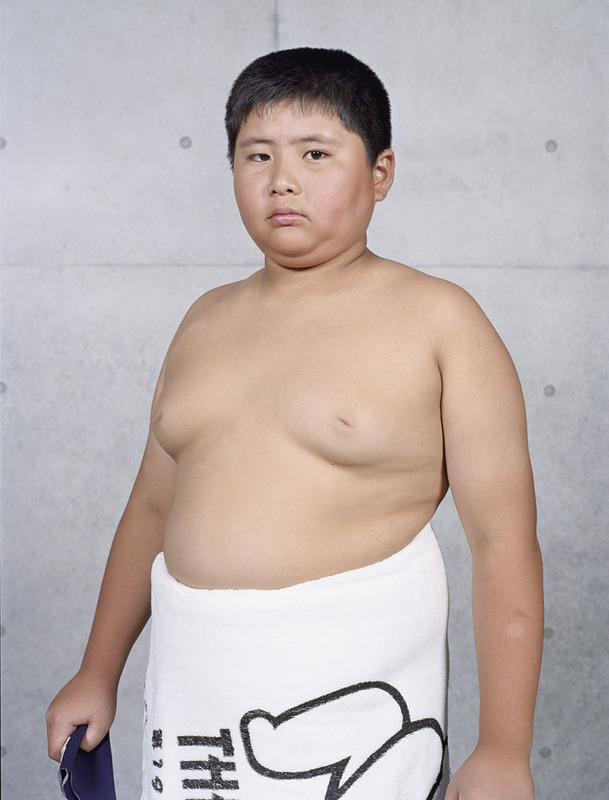 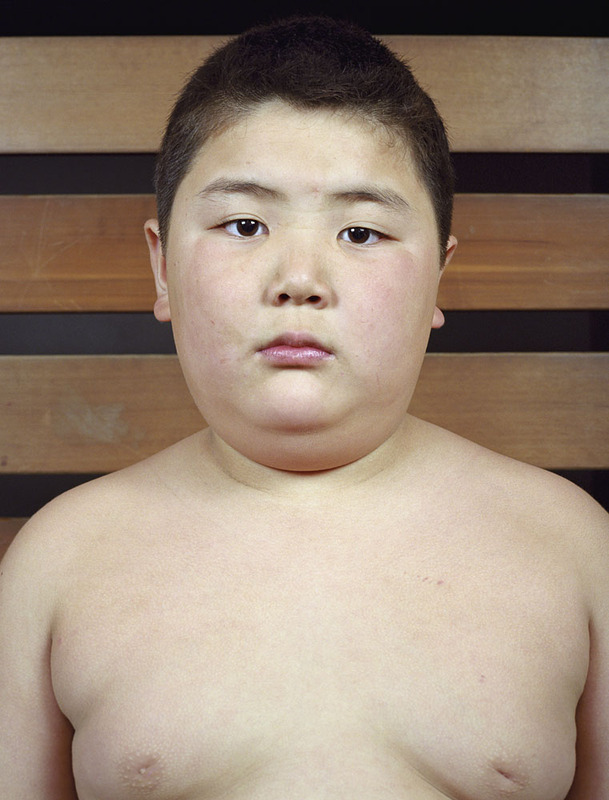 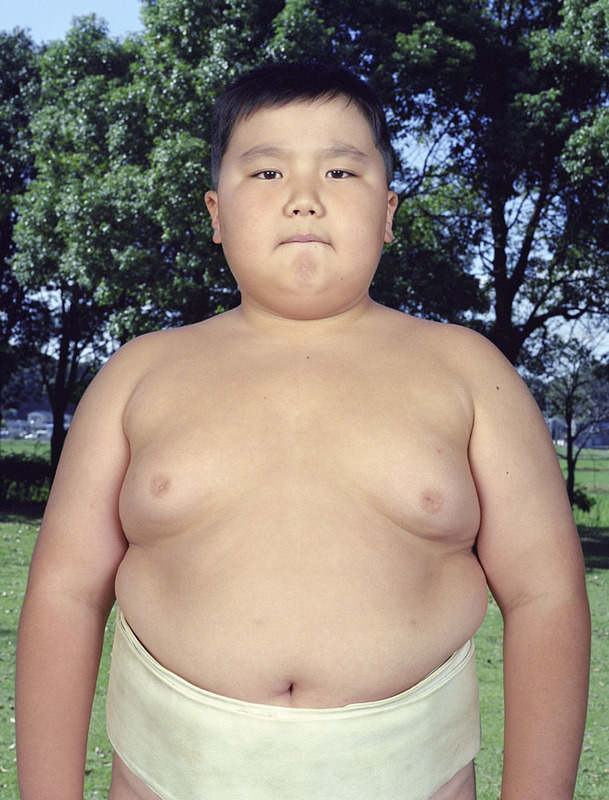 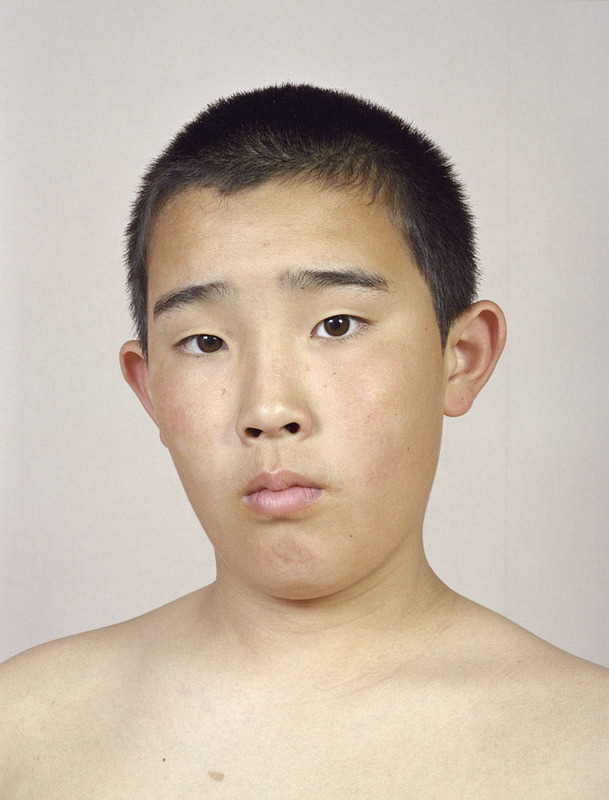 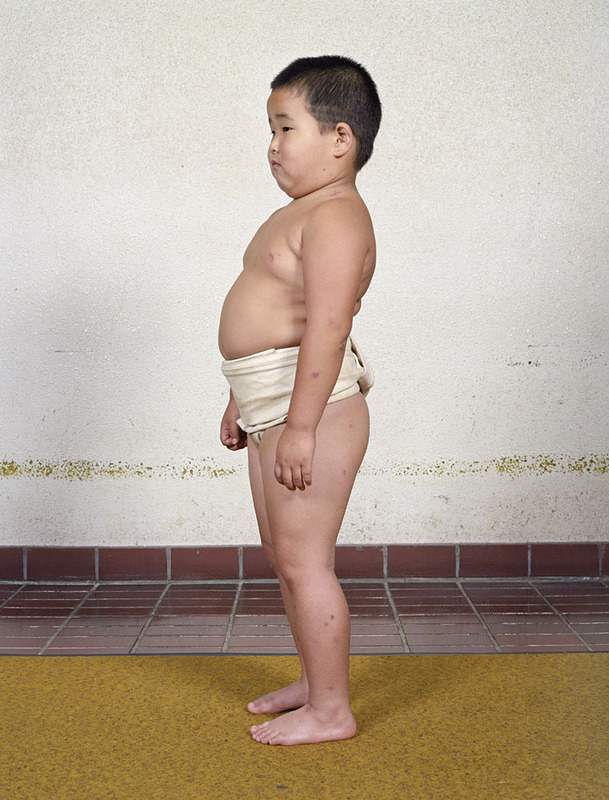 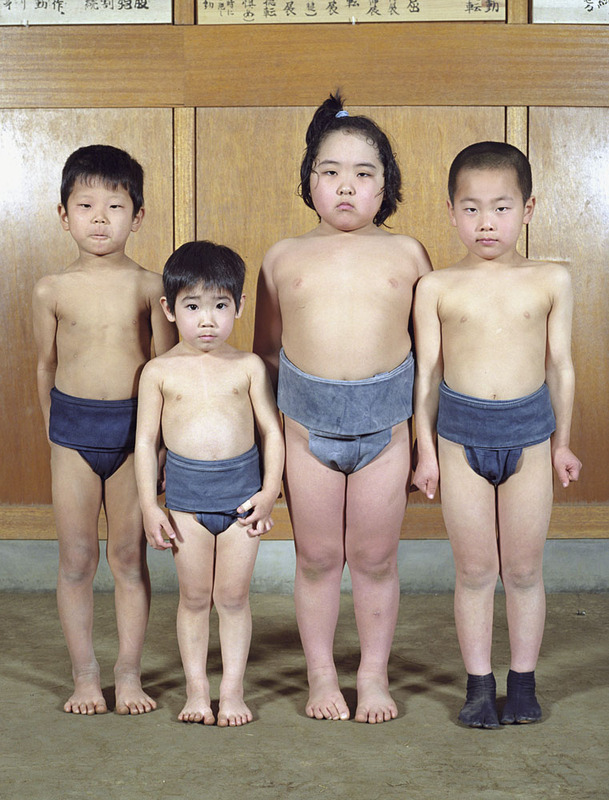 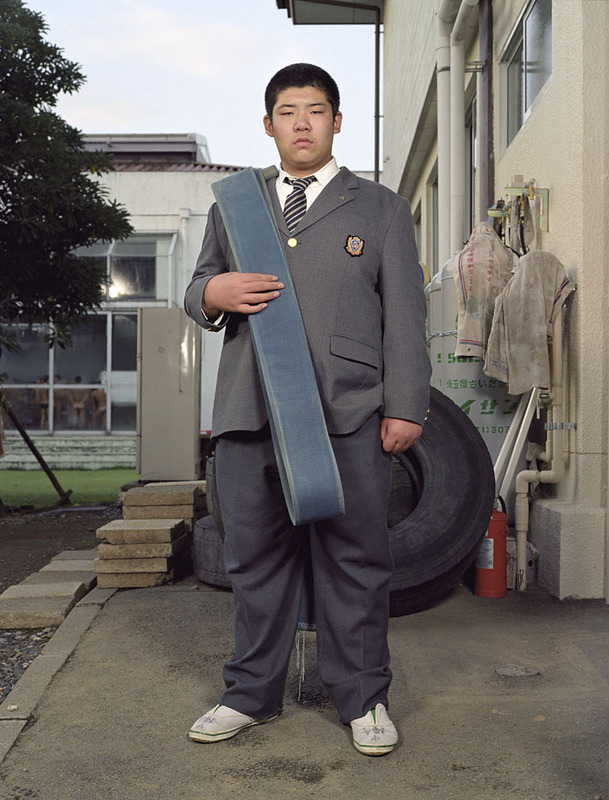 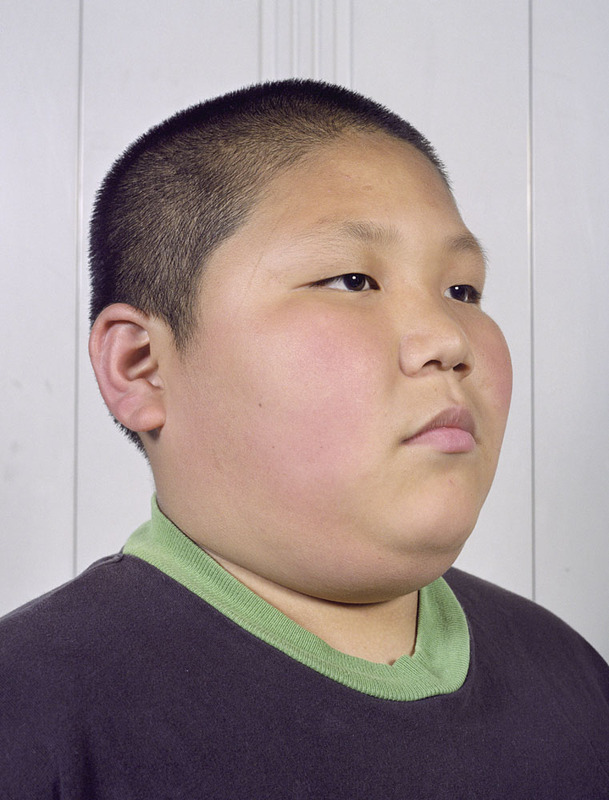 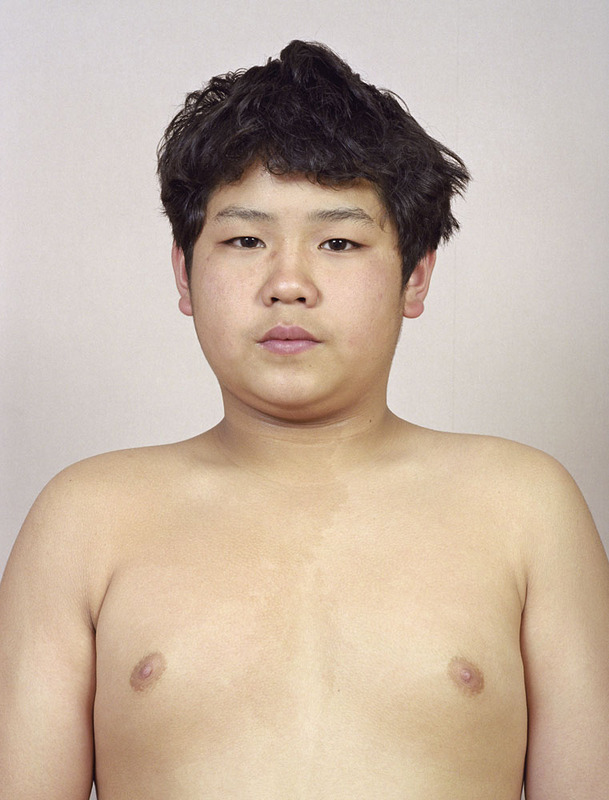 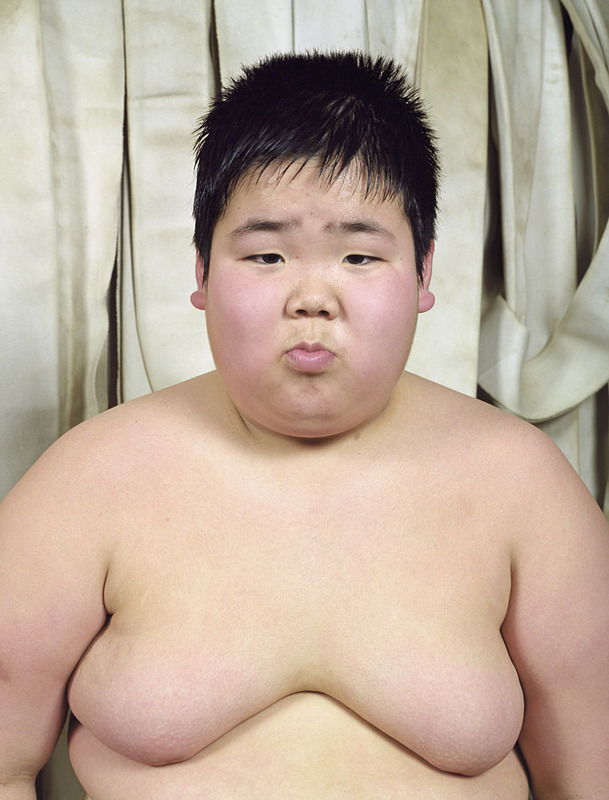 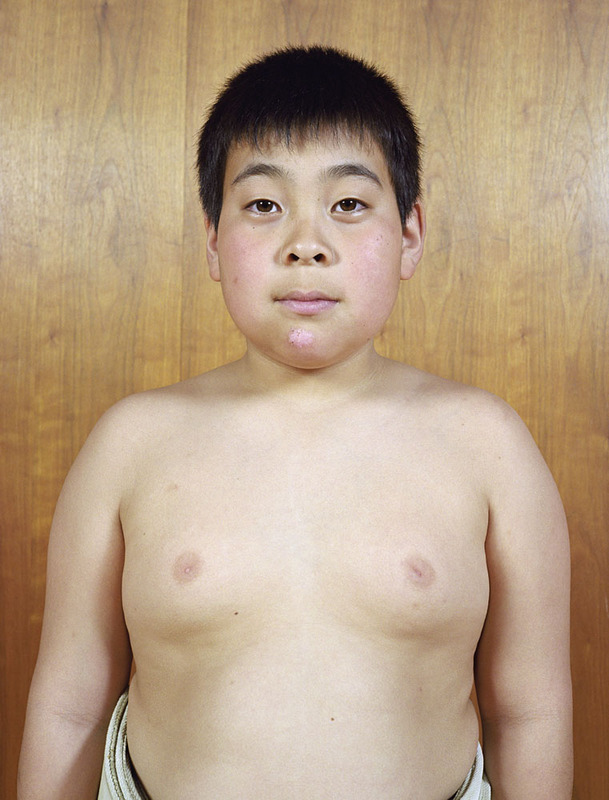 None of them are photographed as curiosities; the overweight body is not his subject. 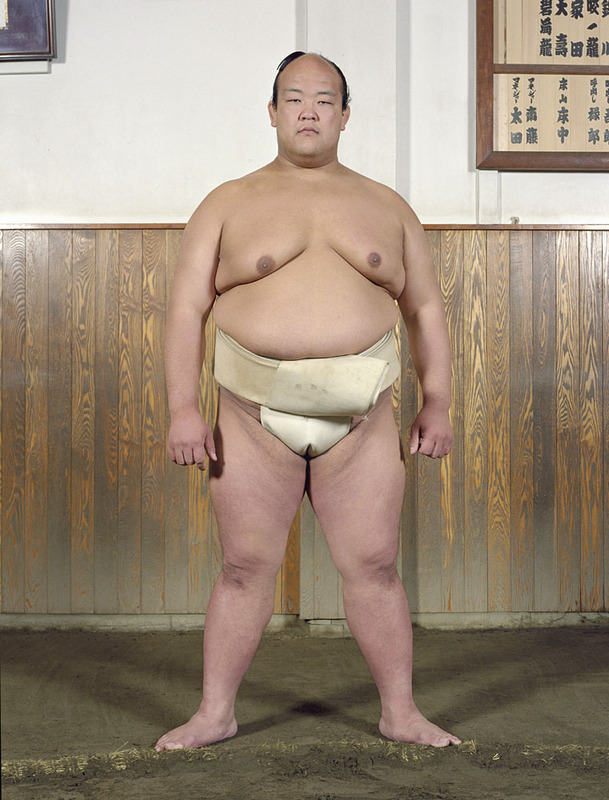 He is interested in the skin and the folds of skin – that is their uniform, along with the blue, green, or beige belt (the mawashi) and the topknot, which shows that one is in the presence of a professional. 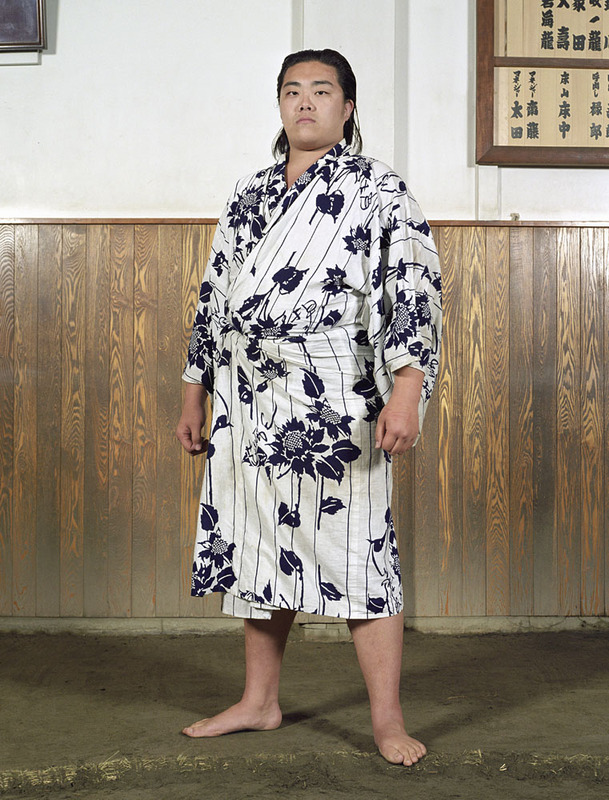 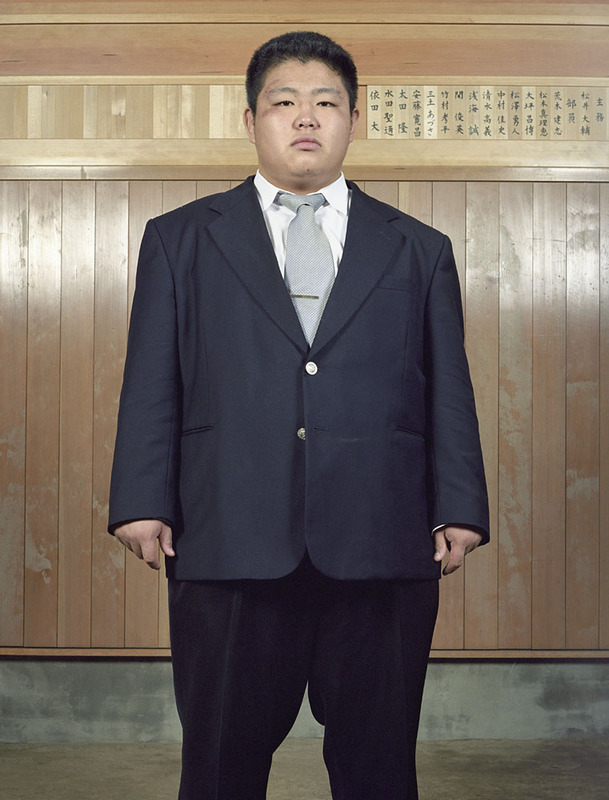 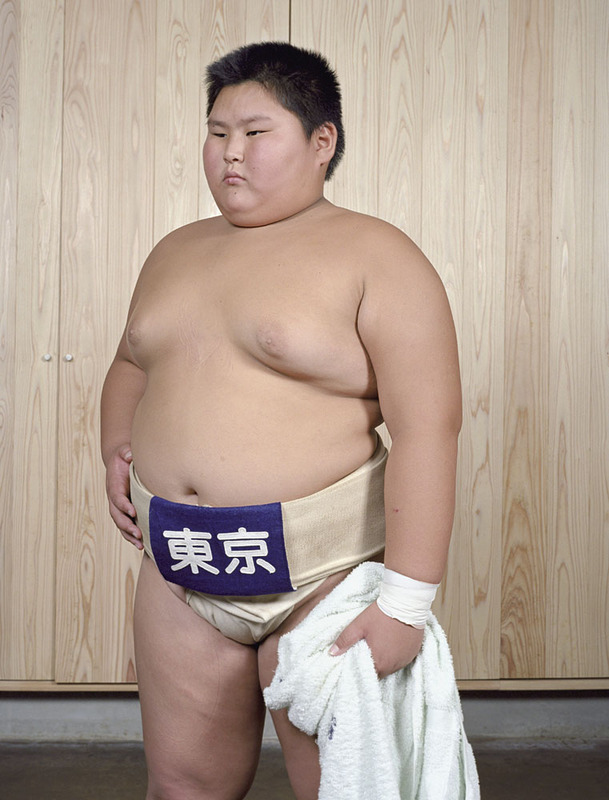 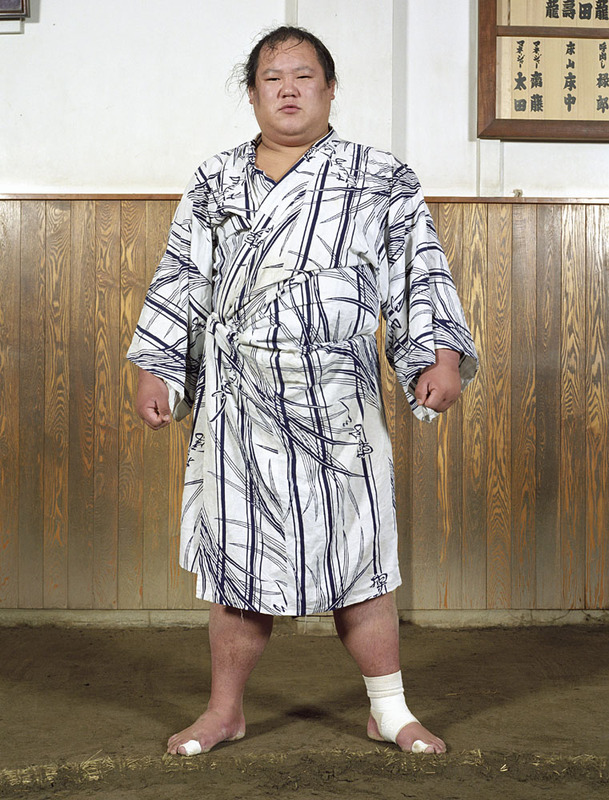 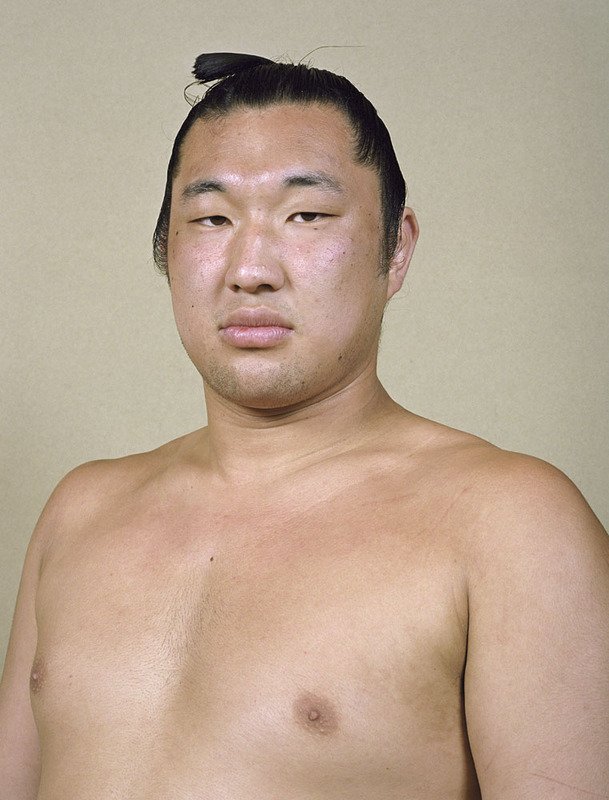 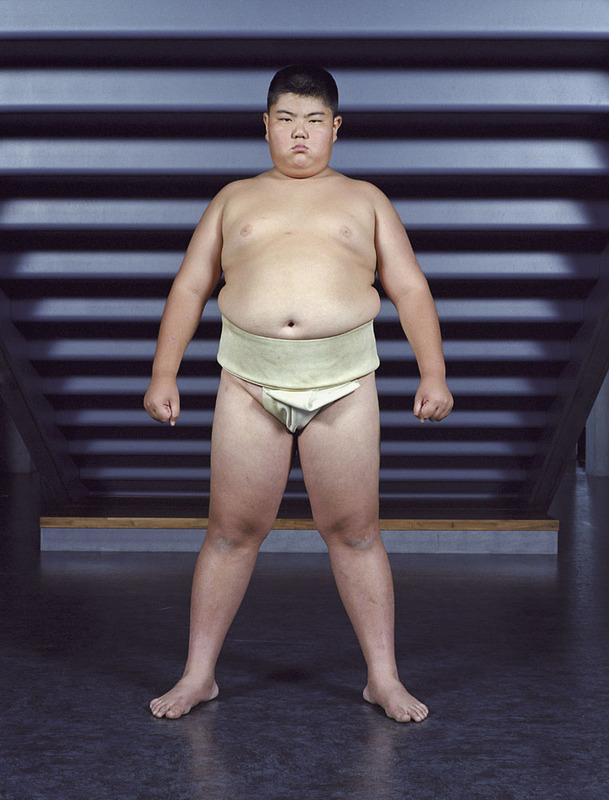 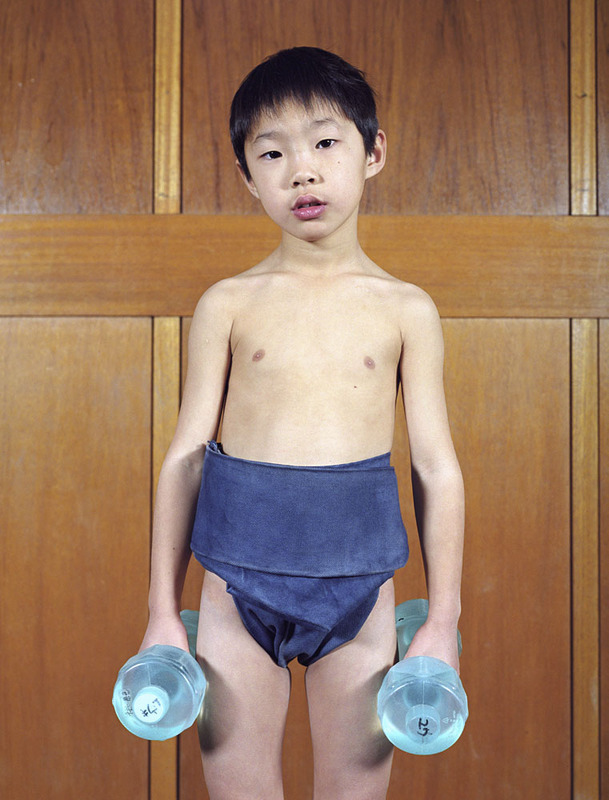 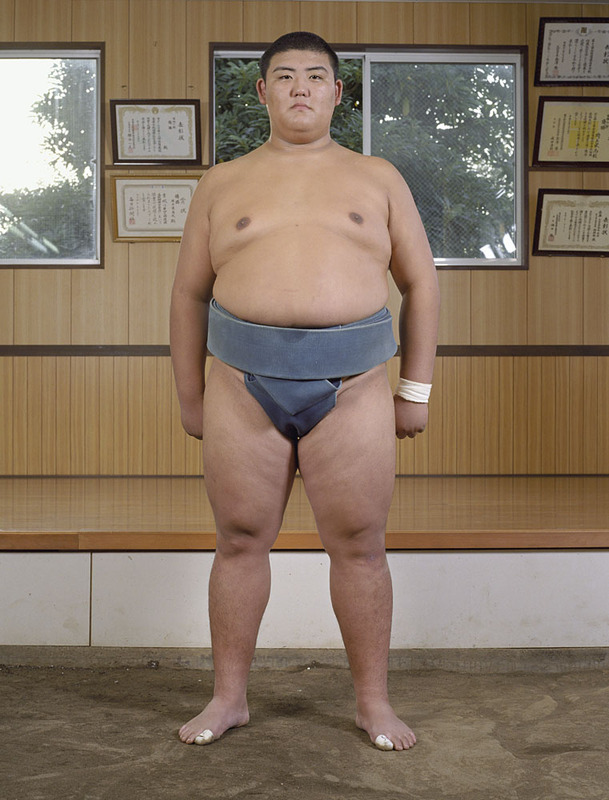 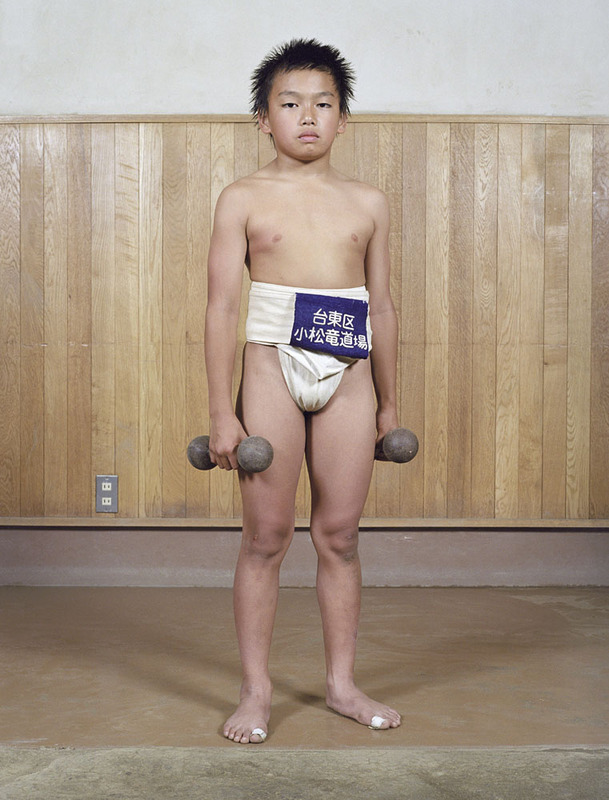 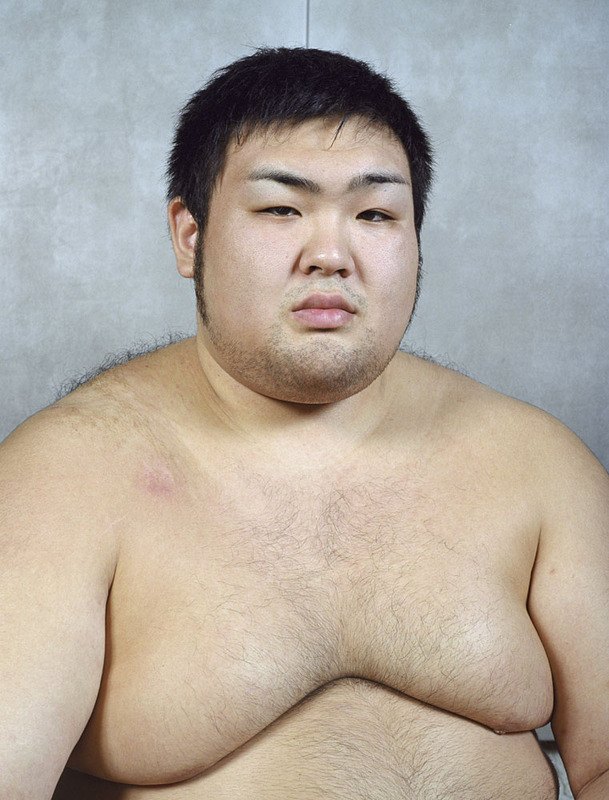 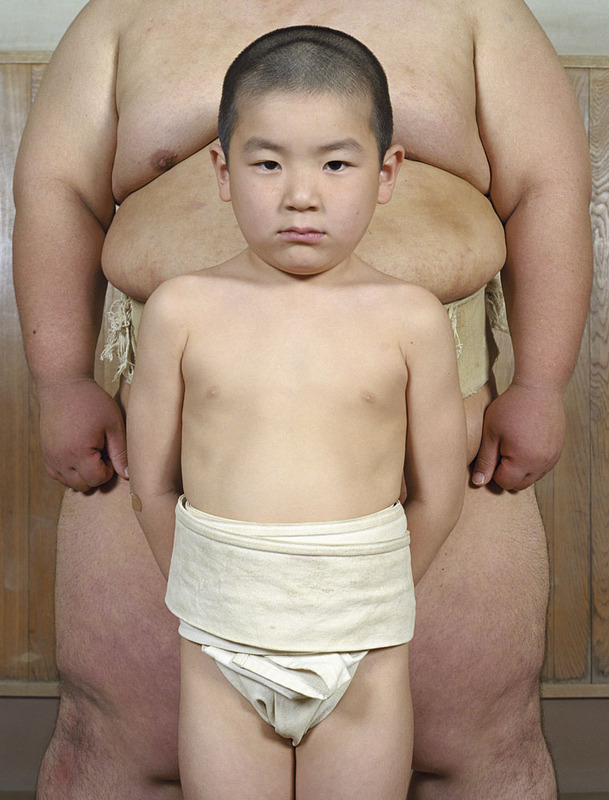 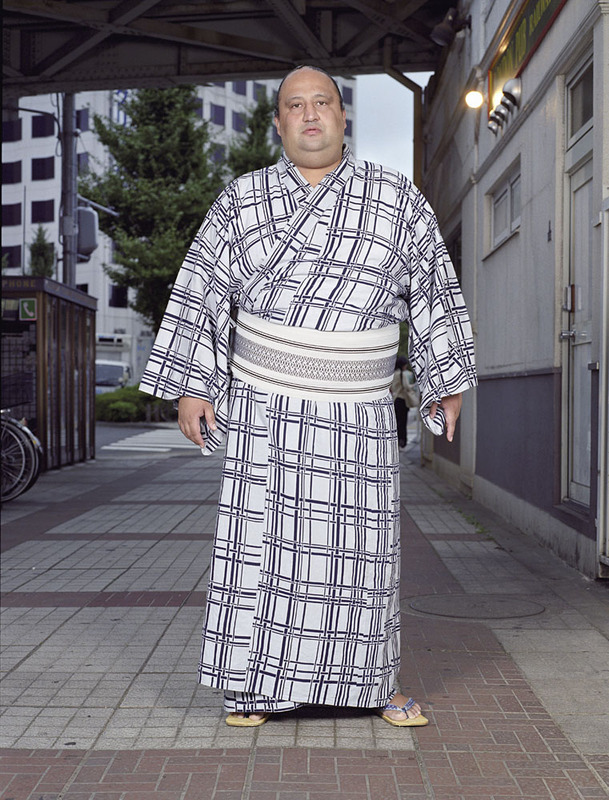 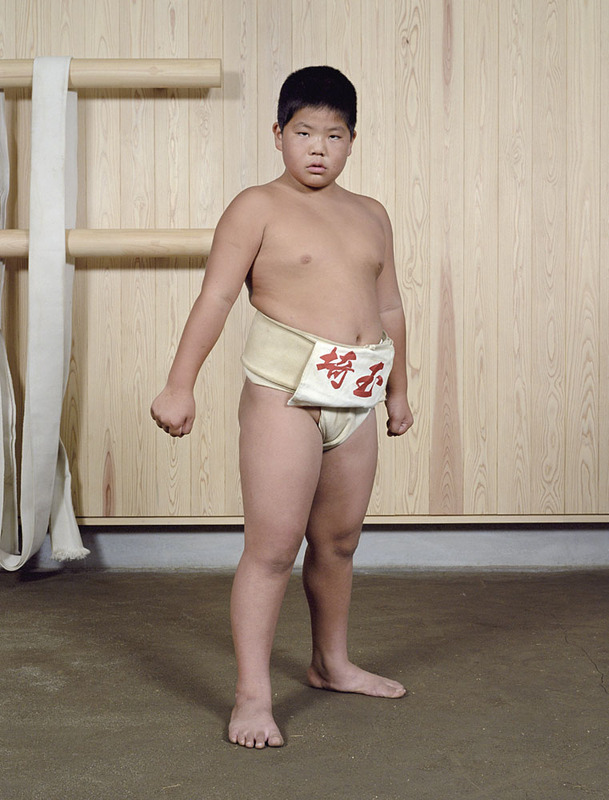 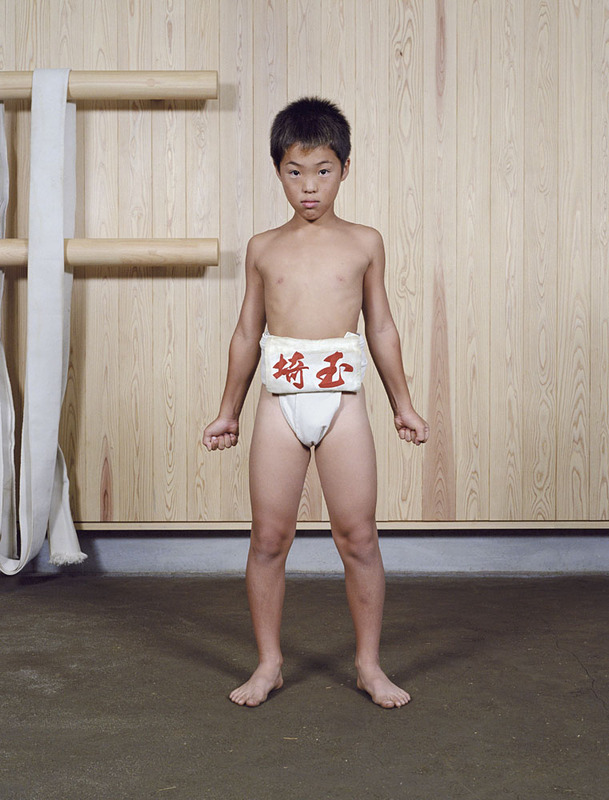 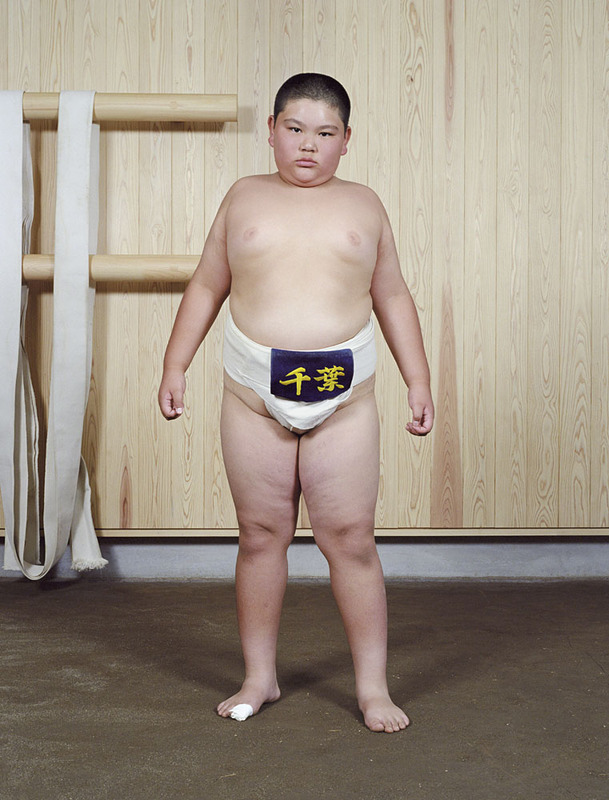 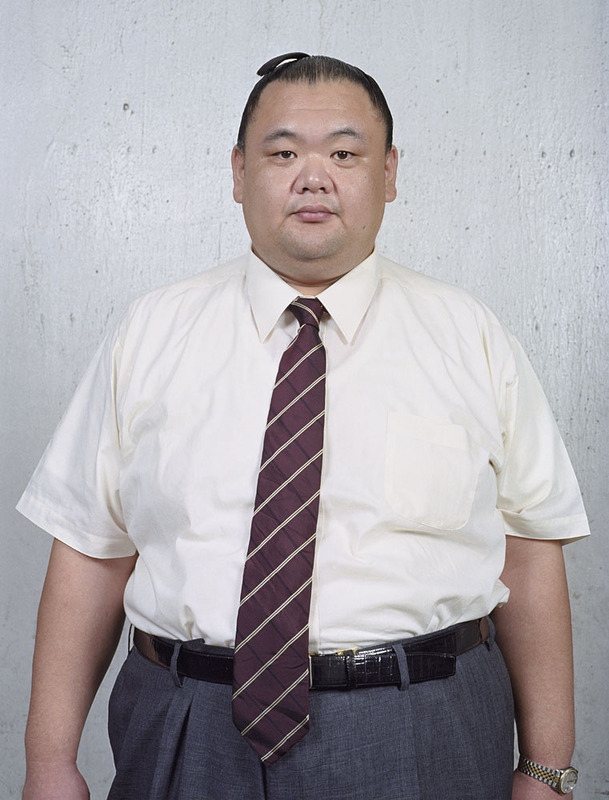 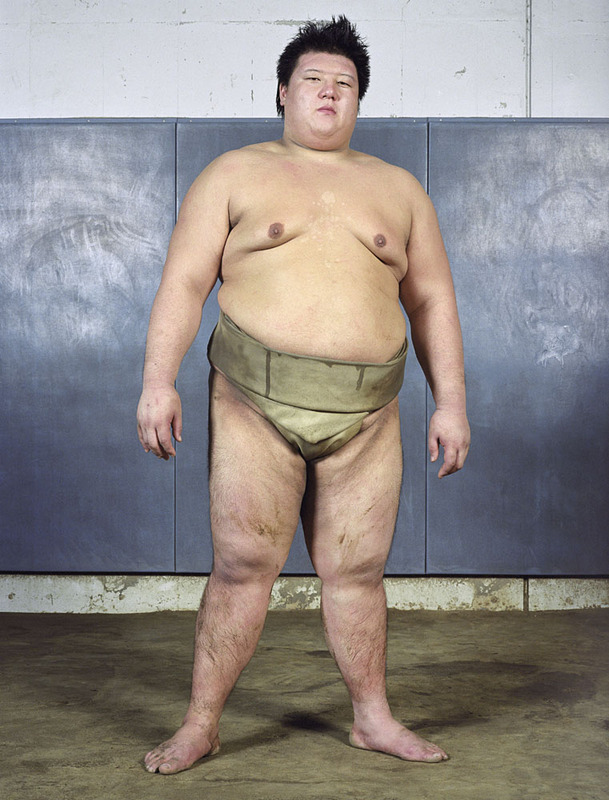 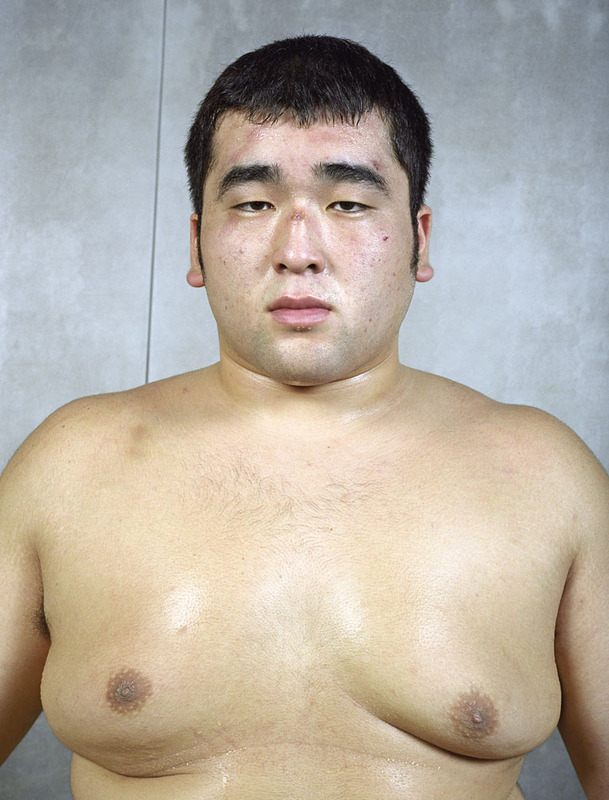 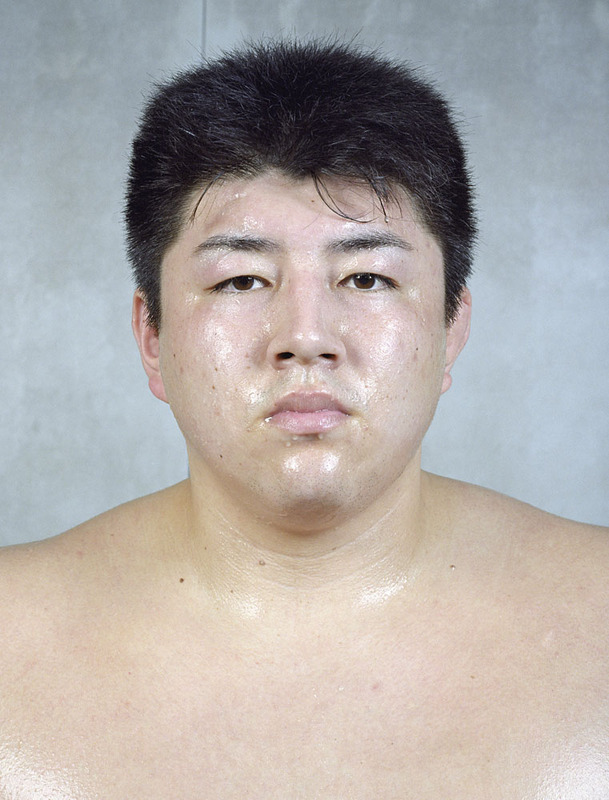 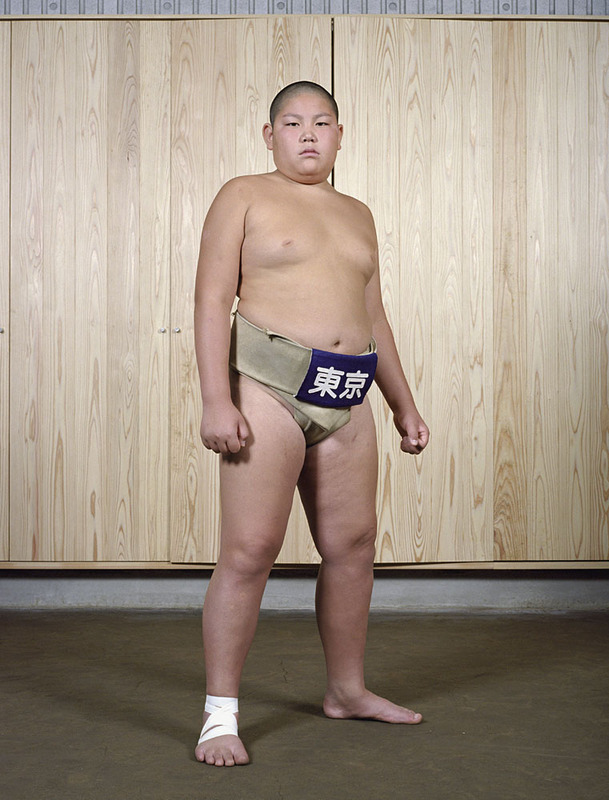 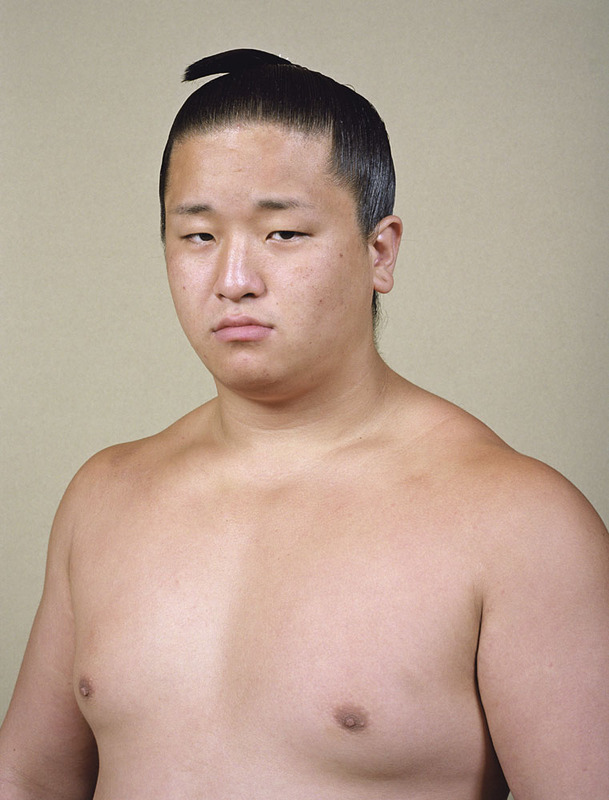 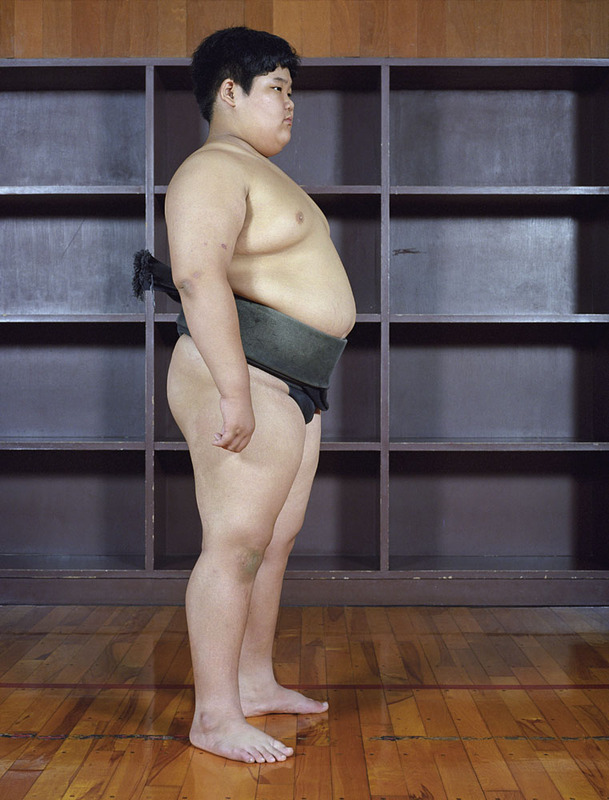 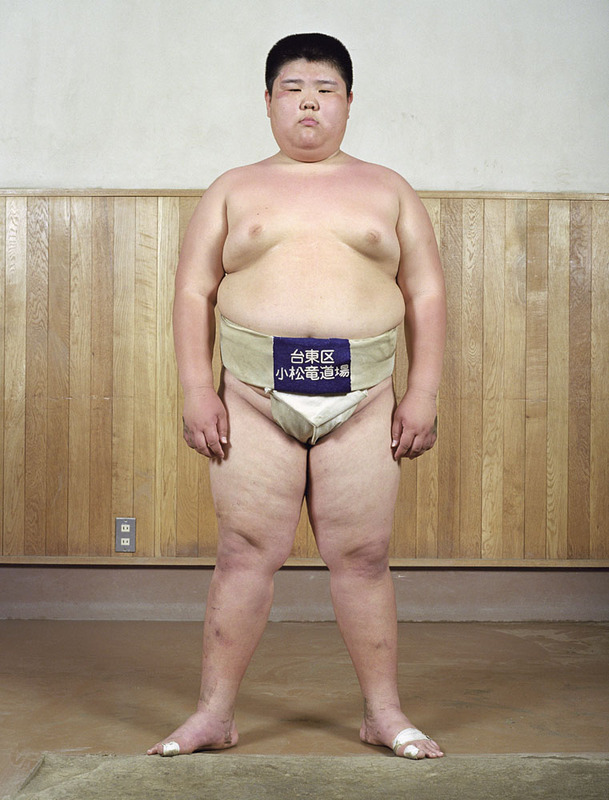 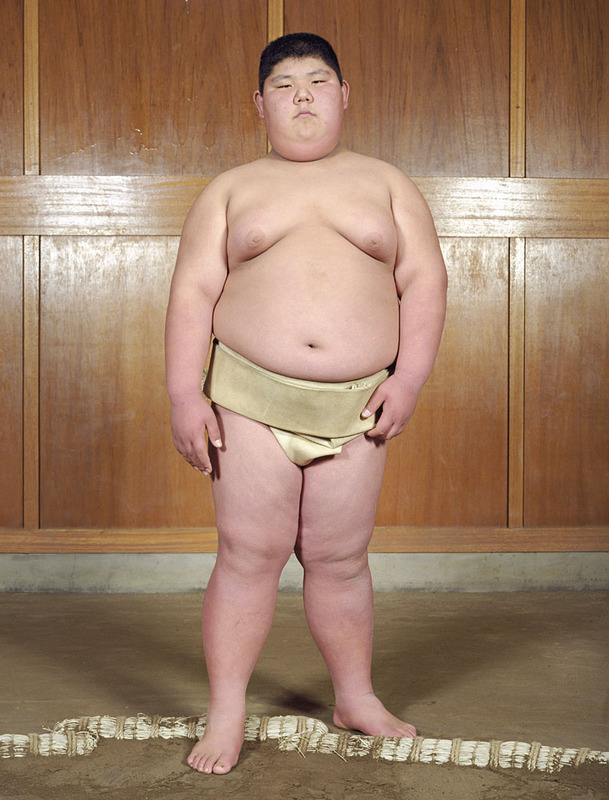 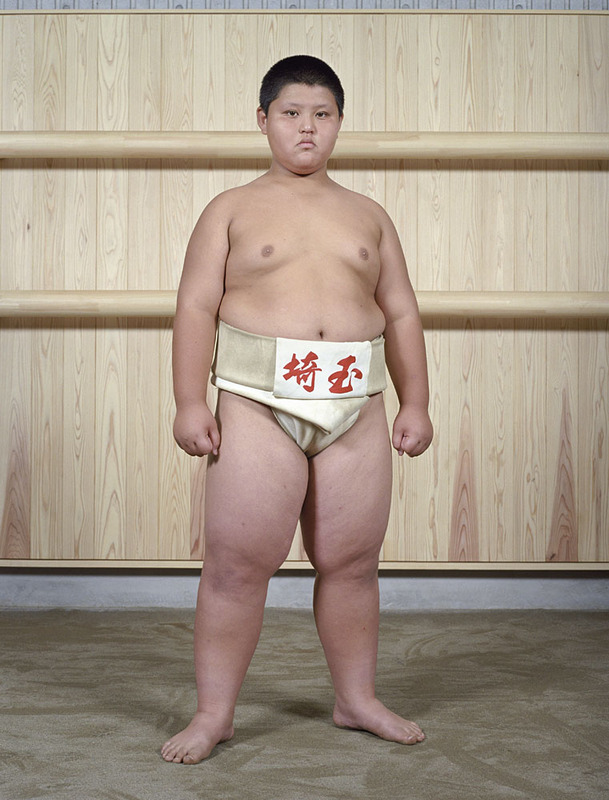 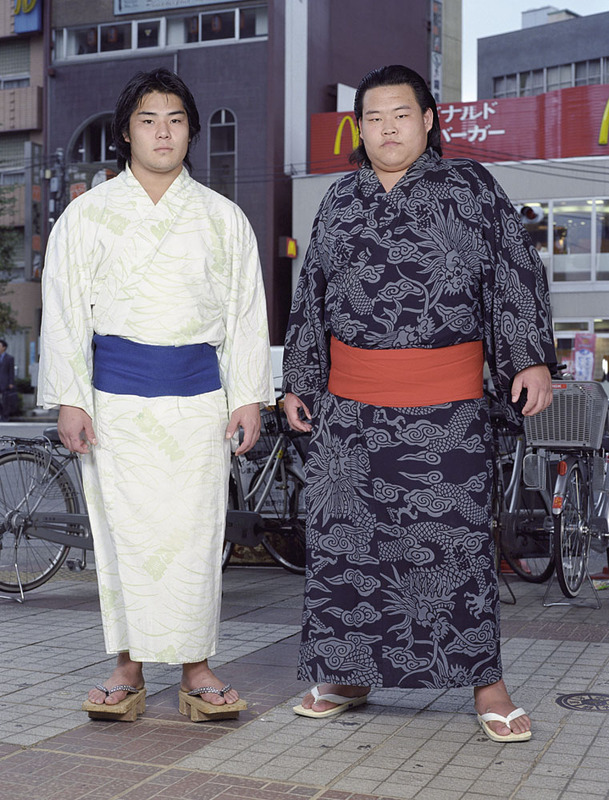 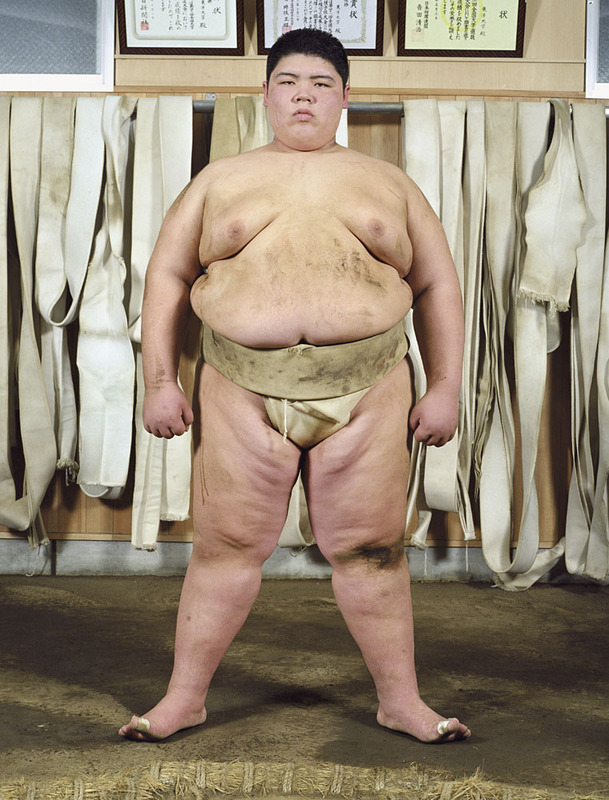 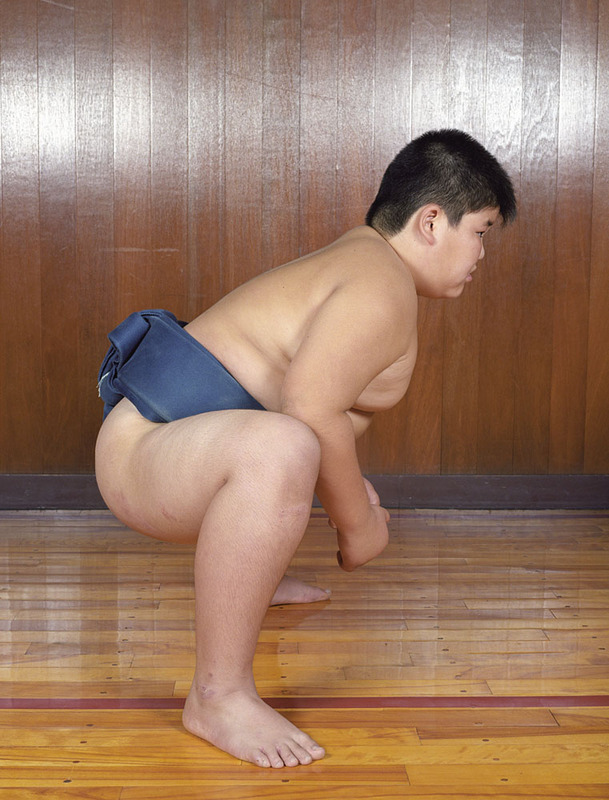 The body in Fréger’s pictures is rarely shot in a sumo pose; the stance is unaffected, usually with arms hanging, and all demonstrations of strength and virility excluded. 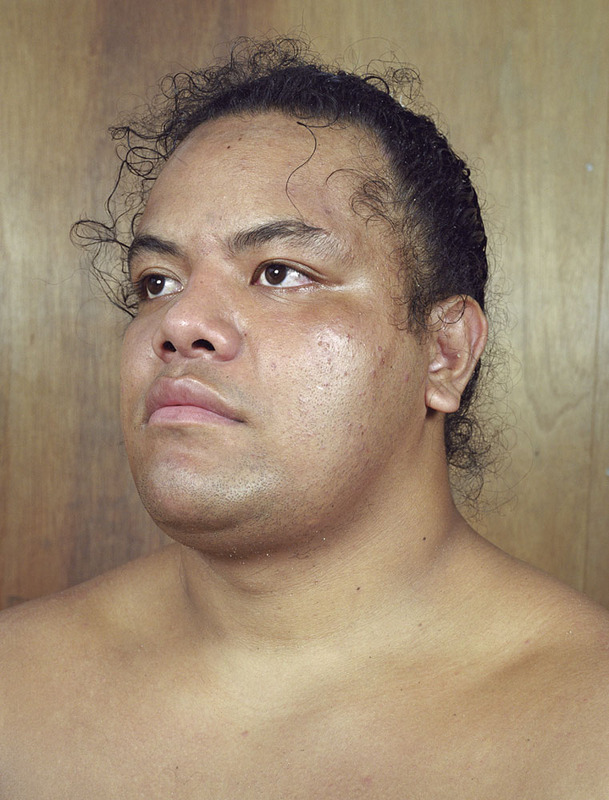 Sometimes the wrestler has been placed in front of a curtain of belts, at other times he stands in front of a wall of other bodies seen from the front or from behind, as if to remind us of the circle that the rikishi crosses into when he wrestles, and the community of bodies that he has joined. 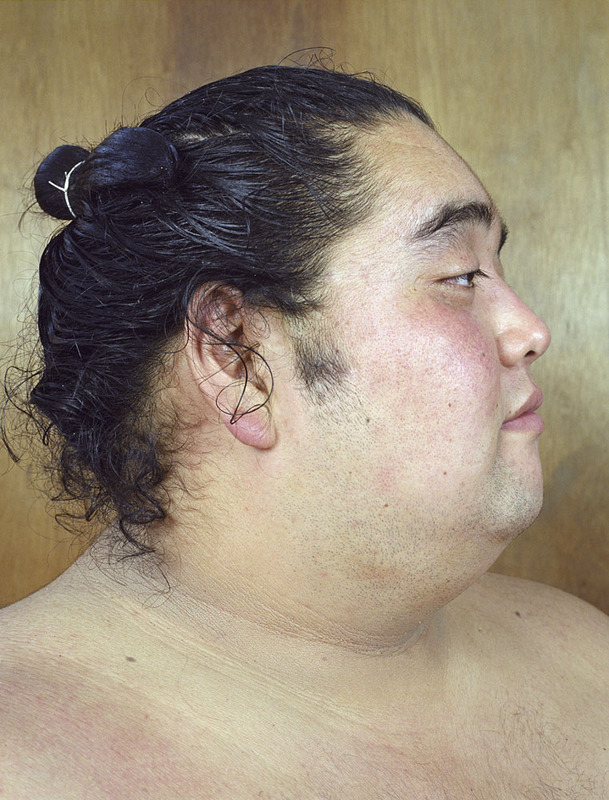 The reason why Rikishi occupies a central place in Fréger’s oeuvre is that it represents a new approach on his part to portraiture. 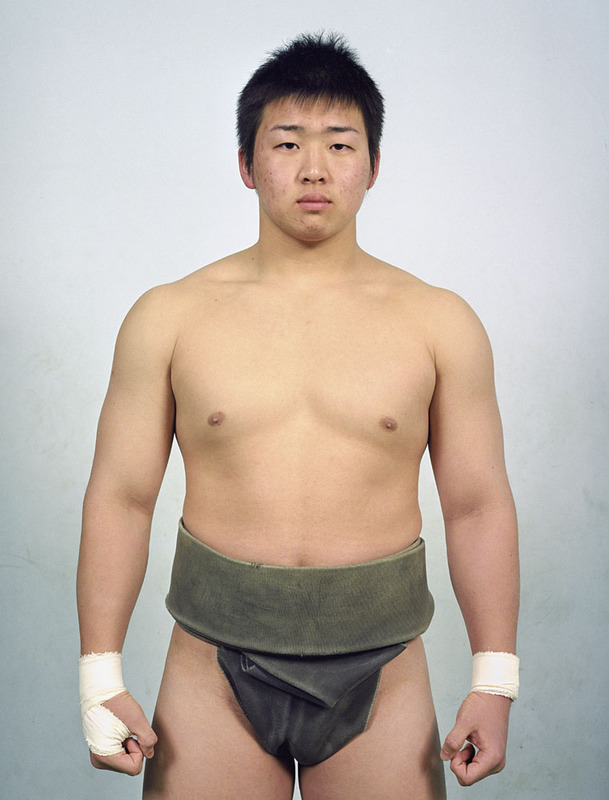 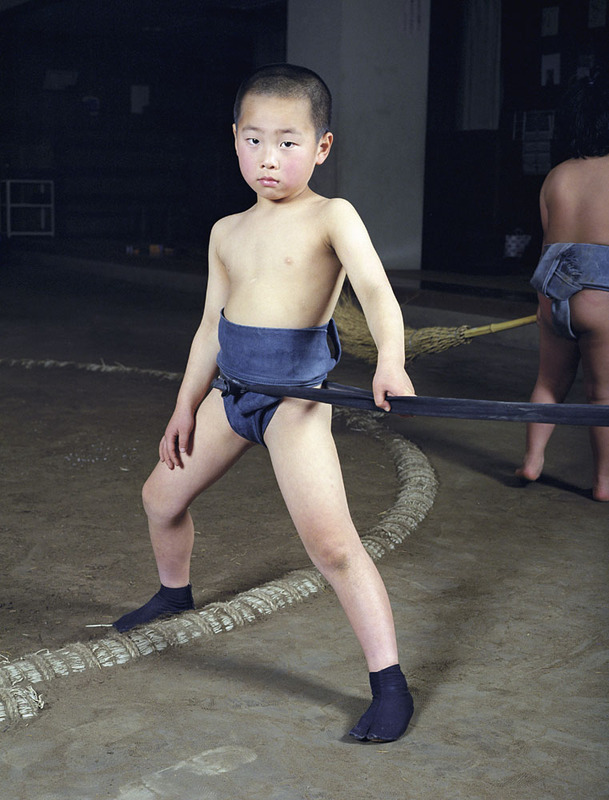 In order to make the photographs, he negotiated his entry into the wrestling ring for each shot. 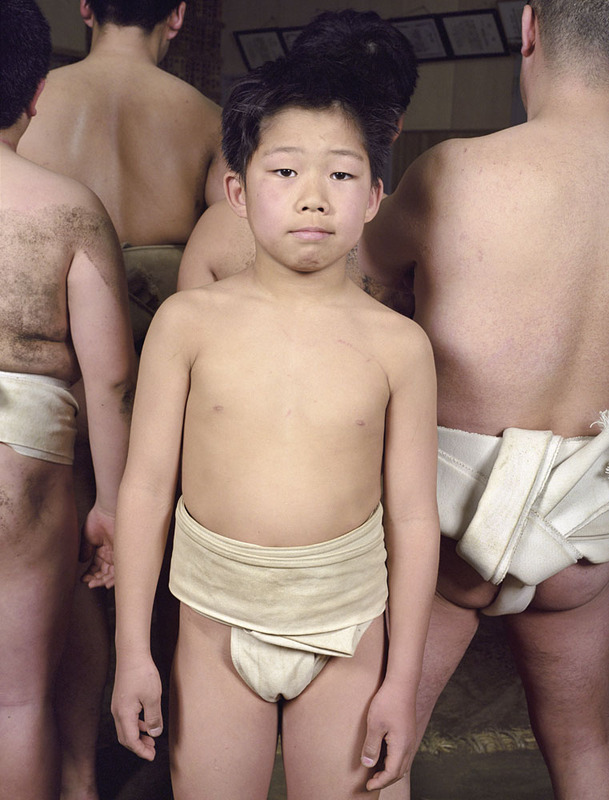 The sacks of rice straw around the edge of the ring (tawara) can be seen here and there in the images. 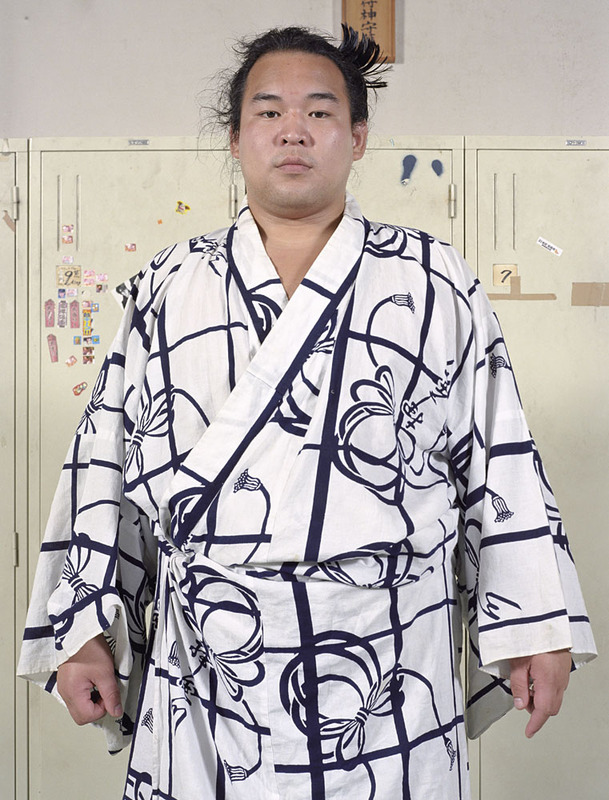 Gaining admittance into this sacred perimeter, forbidden to women and reserved exclusively for wrestlers, amounted to entrance into the wider circle of the community. 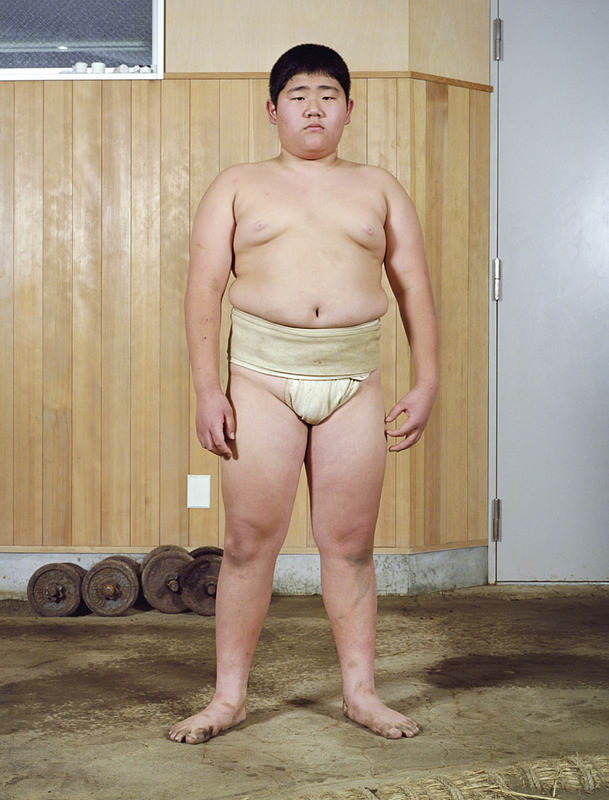 In this circle, the photographer’s own rituals and rules applied. 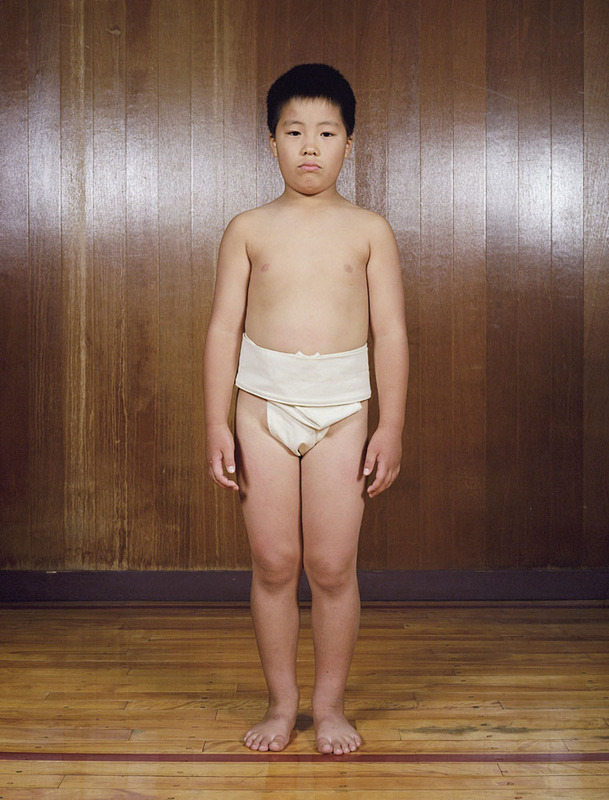 This process of negotiation and acceptance became essential to Fréger’s later work. 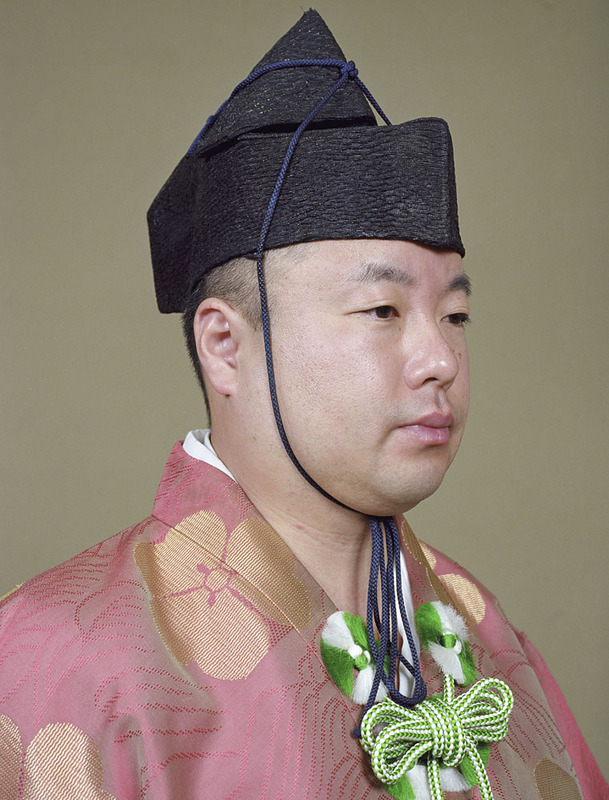 In the course of taking part, he appropriated all or part of the uniform. 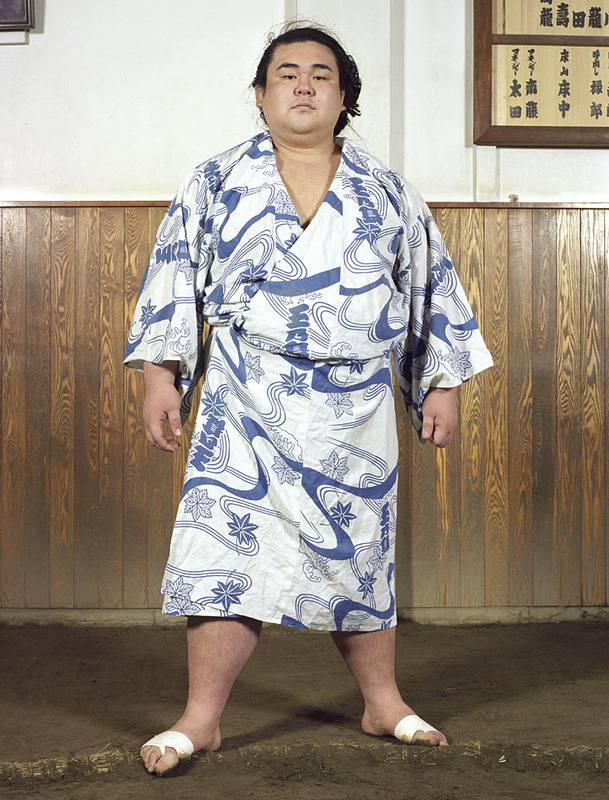 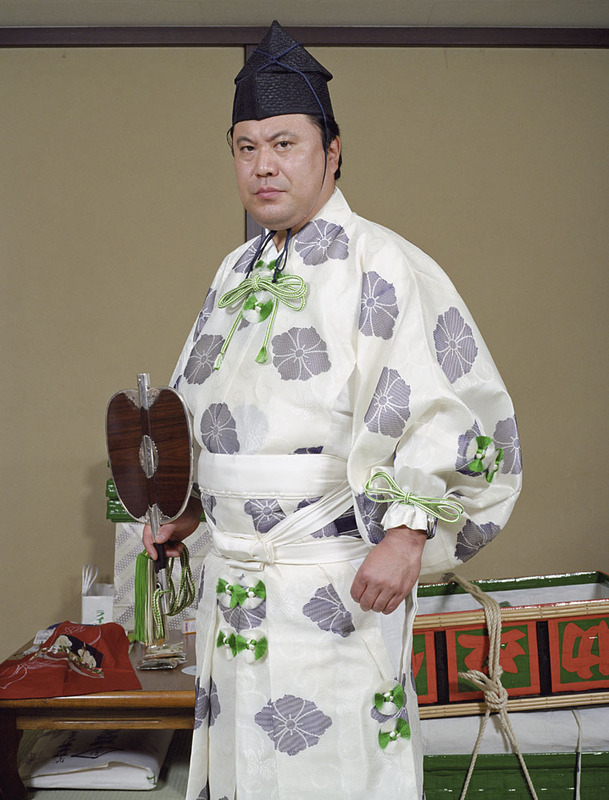 In this case he had his own sumo belt; later, for the series Empire, he even made his own guard’s uniform, with his own colours, his coat of arms and the motto Avec mon désir, j’entre seul dans le cercle (‘With my desire I enter the circle alone’) But the tawara was the first circle he entered.